Plymouth Beyond the Yellow Ribbon is part of a statewide Minnesota Beyond the Yellow Ribbon volunteer program to support military service members and their families before, during and after deployment. 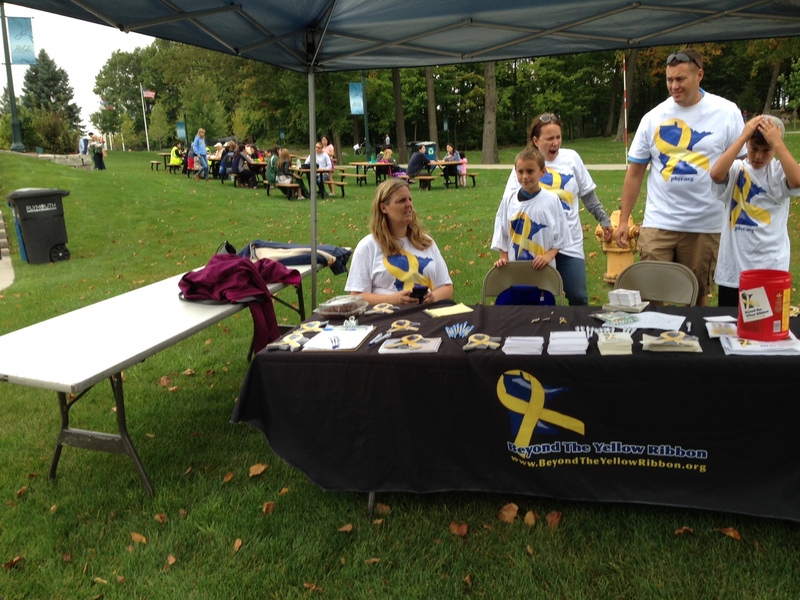 Beyond the Yellow Ribbon is united to bring Service members all the way home to Plymouth! Good news in this time era is always helpful to one’s spirit! The attached video on CCX Mediahighlights the Hamel VFW’s recent project to renovate their restrooms and make them ADA compliant. PBYR is delighted to have been able to help in this project! PBYR has been selected to receive a generous donation of $460 Choice Dollars through Thrivent/Lutheran Brotherhood. If you have Thrivent/Lutheran Brotherhood please consider their program to donate to IRS certified non-profits of your choice–hopefully PBYR! Allan and Kersten could be contacted to review how the program works and how to sign up. PBYR is currently assisting an elderly veteran and his wife maintain rental housing after their financial accounts were hacked. PBYR is providing $800 toward February rent and $200 of Target Gift Certificates to use for food as their new bank account stabilizes. PBYR was able to help the apartment management team understand their problems paying the Feb rent while the crisis was unfolding. 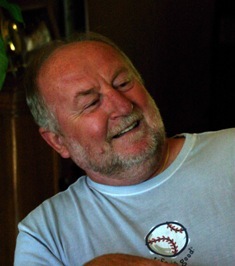 **KUDOS to John Swol for steadily helping behind the scenes to make our website interesting. The yearly increase in traffic to the PBYR website from 2012 to the present speaks to his efforts!! PBYR is very lucky to have John’s help and support. He also helps PBYR even when he is engaged in competitive suntanning competitions in Florida!! 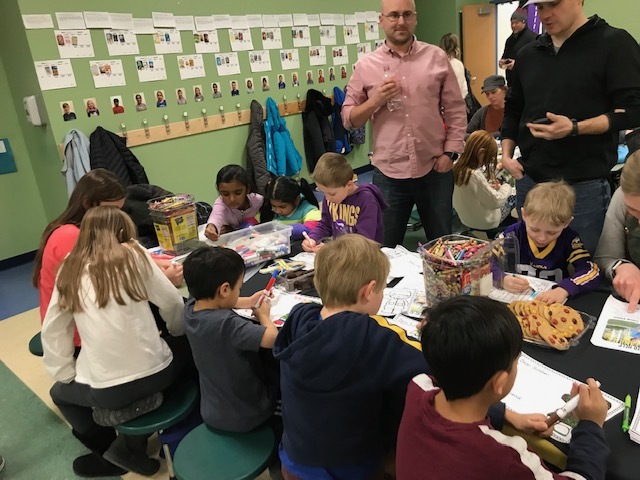 On December 3, 2018 PBYR mailed 7 boxes of treats for deployed MN soldiers. This represents an annual partnership between WHS and PBYR to support deployed MN soldiers. Veterans Day Program was a Success!! 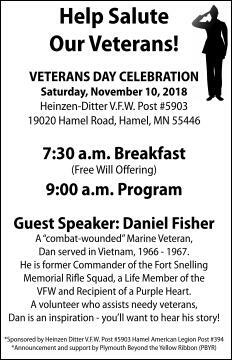 Kudos to the Heinzen Ditter VFW Post 5903 and the American Legion Post 394 for sponsoring an excellent Veterans Day Program on November 10, 2018. The parking lot was completely full. PBYR was honored to help promote the event. All the speakers highlighted poignant reflections about America, such as clarity of purpose, mission, respect and the importance of character. I reflected on the comments about the dedication and time commitment of the Veterans that volunteer to serve with the Fort Snelling Rifle Squad and those that serve as a Color Guard to meet the numerous requests for assistance at burials and representation at special events. Veterans do us proud by their example and dedication! Congrats to VFW Commander Jim Heimerl et al in making this program a success. In October, 2018 PBYR was alerted that a 90-year-old Veteran in Minnetonka needed some assistance as he enters hospice. Three PBYR volunteers offered to run errands and do some chores to help the family as needed. Kudos to Jennifer Rodgers and Sylvia Grismer! 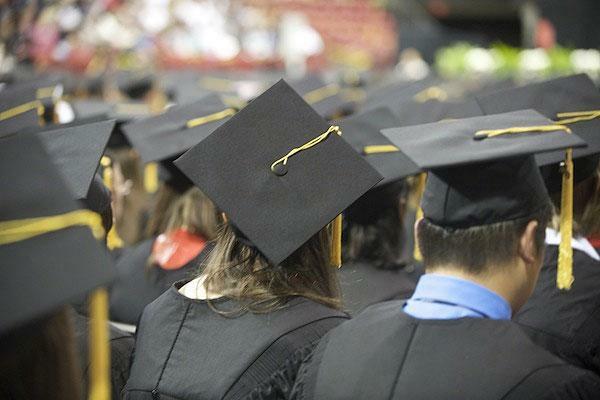 The Yellow Ribbon program is designed to help students avoid up to 100% of their tuition. On June 14, 2018, Gary Goldetsky, PBYR President, on behalf of the PBYR Board of Directors presented a Beyond the Yellow Ribbon coin to the Plymouth Lions during their picnic at Medicine Lake. This BYR coin represents PBYR’s sincere appreciation and acknowledgement of the Plymouth Lions’ support and assistance since 2012. PBYR greatly appreciates the partnership with the Plymouth Lions as without this support PBYR would not be able to do its’ mission in the BYR network of cities. I have attached the Program for the Plymouth Memorial Day Event. It is scheduled for May 24th at 11 AM. Please pass the announcement to your networks as we would like a strong turnout. The program represents our strong and healthy community. The program will remind us of the costs and sacrifices made for our safety & freedom. Please consider to attend!! Unfortunately, the extended family (who live in MN) of a Service member are in need due to a tragic loss. Sgt Jonathan Dunbar was killed in active duty. The immediate family of this soldier have their costs covered but the extended family here in MN are travelling to attend the funeral in Arlington, VA via vehicle with limited monetary resources. They have stated they have the capacity to reach Arlington but would have to utilize credit to do so. If your community would like to donate to help offset their travel cost, you are able to donate to the family’s “you caring” site listed below. At this time this is the only need, the family anticipates to have. The family has asked for privacy and no direct contact or outreach to the family is authorized at this time. On April 18, 2018 the PBYR Board authorized $200 to assist the extended family of Sgt Jonathan Dunbar to attend his funeral. He was killed in action. The family has expressed a desire for privacy. Our thoughts and prayers go to the family and we acknowledge Sgt Dunbar’s service and sacrifice. The students wrote letters and drew beautiful pictures for service members. The gift card donations will be used to assist service members and their families and such donated gifts are very helpful to the PBYR mission. The Family Assistance Center will locate a deployed service member or Chaplain to receive the pictures to distribute. 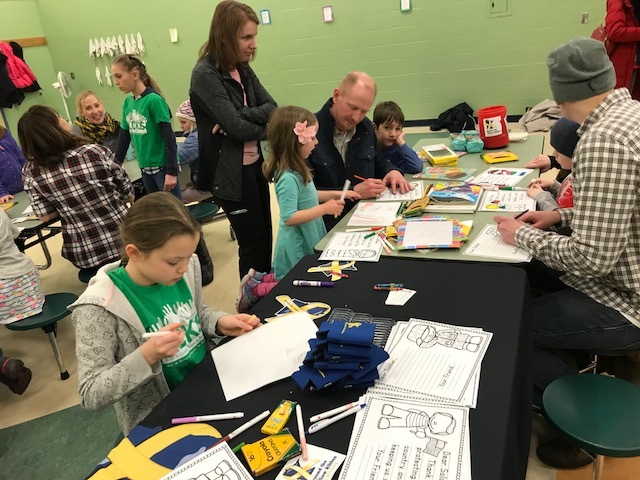 **Kudos to Kersten for her PBYR leadership and participation during the event as an art coach, table supervisor, PR Specialist and PBYR Volunteer- Par- Excellence! 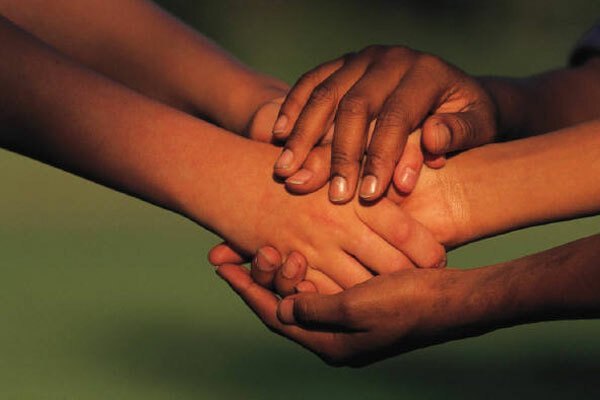 This weekend the military Family Assistance Center (FAC) contacted PBYR with a request for service. A service member’s father is in an AZ hospice. He is very ill and will likely die in several days. The service member would like to see his father and bring 4 family members to AZ, however does not have the funds. The service member contacted the FAC, the airline , the Red Cross and the American Legion . The cost for the flight is $1,760. PBYR agreed to provide an emergency grant of $880.00 to assist this family. We appreciate the FAC for bringing this situation to our attention as we want to support this military family in their time of need. Plymouth Beyond the Yellow Ribbon donated a total of $880 dollars for the purchase of these five (5) tickets. The Chaska Beyond the Yellow Ribbon has donated a total of $600 dollars for the purchase of these five (5) tickets. The Flags and Honor of Minnesota will cover the remaining $304 dollars of the estimated total for the purchase of these five (5) tickets. The FAC was very helpful to coordinate this assistance . PBYR thanks all partners in this project for their fast efforts and assistance!! On December 27, 2017 the Bloomington Family Assistance Center (FAC) encountered a Service Member that needed temporary housing for 3 weeks prior to starting National Guard Training. PBYR and The American Legion quickly partnered to house the Service Member at an Extended Stay Motel. The Service Member was very pleased that she was protected from homelessness prior to starting training, especially with the severe winter weather upon us in Minnesota. 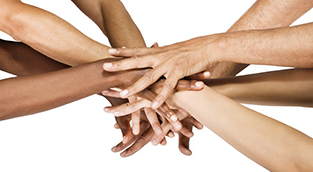 Kudos to all that were able to agree to effectively partner in such a helpful manner!! PBYR wishes the Service Member well in her future training and a Happy and Healthy New Year. We thank her for her planned service! And PBYR acknowledges the assistance and support from our partners –the American Legion and John Wagle, Bloomington FAC Representative! As we near Christmas I want to send a special thank you to all of you who have helped make the Donor Connect Program as successful as it is. 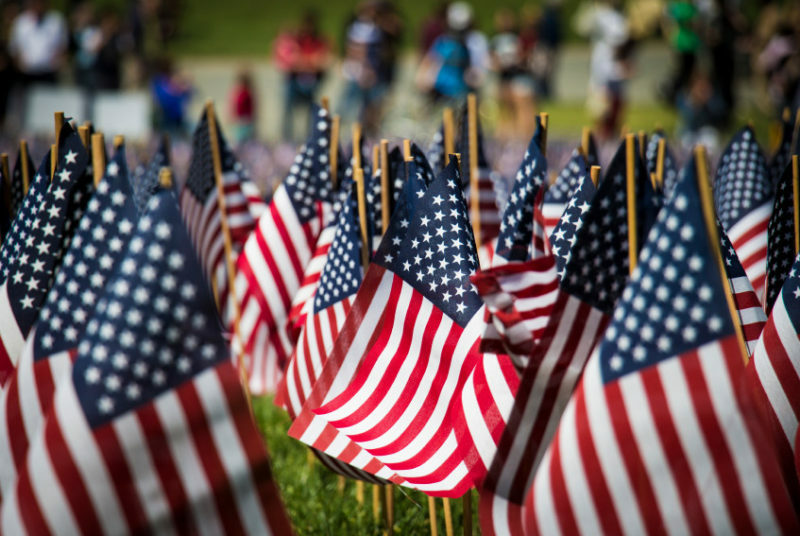 Without your donations and offers to assist many veterans and their family members would not have been able to benefit from the equipment listed with the Donor Connect Program. I was contacted by Greg Peterson, CVSO for Brown County, who has a unique item he would like to let people know is available as a donation- Please get ahold of Greg if you know of anyone who is interested or could benefit from this great walk-in bath tub. “We received a walk-in bath tub as a donation last week. The tub is in great shape, but it does not have whirlpool jets. The tub is currently in the back of our Veterans van and will be at the St. Cloud VA Medical Center on Friday, Dec 15th, and at the Minneapolis VAMC on Monday, Dec 18th. We are willing to deliver it to anyone in the near proximity of these two locations. It is heavy and would take at least two strong people to lift out of our van. The photos were taken with the tub in the van, and the interior photos include two exterior access panels. 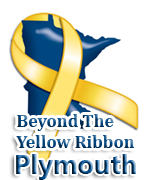 Plymouth Beyond Yellow Ribbon further explored the PBYR mission with Brenda Badger’s Y.E.S. students on December 7, 2017. This was a follow-up to the prior project and partnering with PBYR in November, 2017 to send treats to deployed MN soldiers. In the presentation, the students asked many good questions about PBYR. 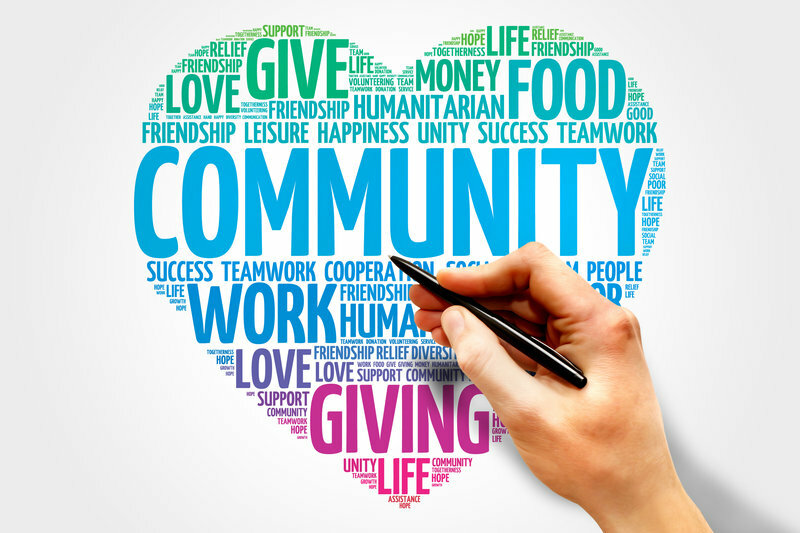 We addressed many reasons why people volunteer with non-profit organizations, such as agreeing with the mission and to demonstrate support, personal skill development, leadership training and to contribute to a healthy sense of community. 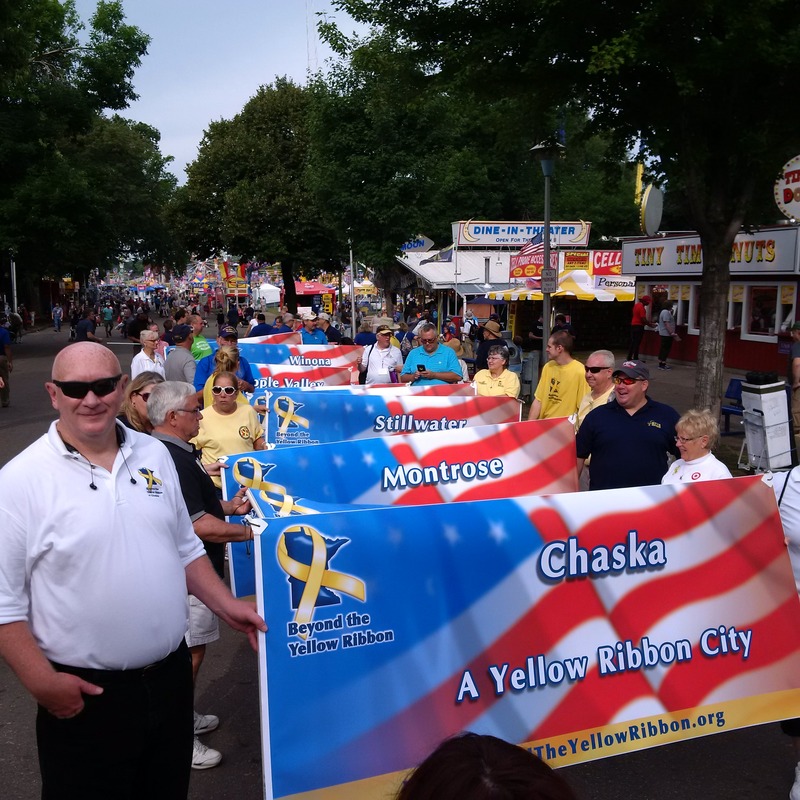 Also, the many advantages for Minnesota to have a large network of BYR cities was reviewed in detail as this effort has assisted many people and decreased the military suicide rates over the past several years. 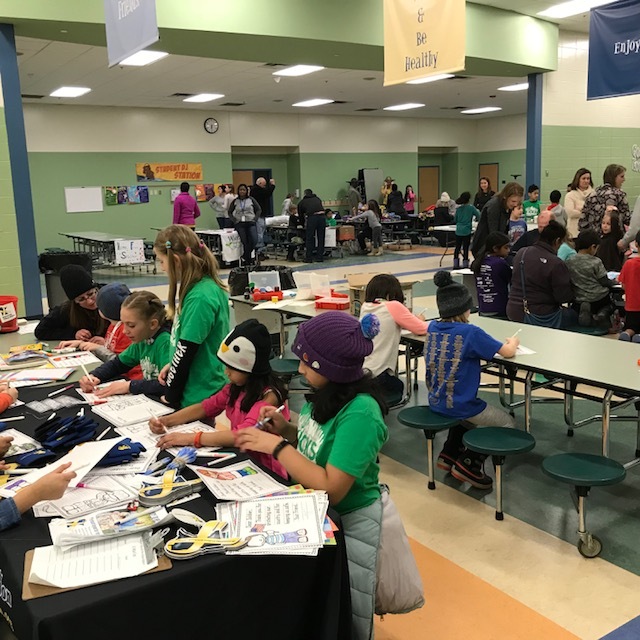 Strategies and reasons for students to connect with PBYR and/or other non-profits was reviewed in detail. The students seemed to resonate with the PBYR mission and history. Hopefully, they will desire to partner again with PBYR in 2018! 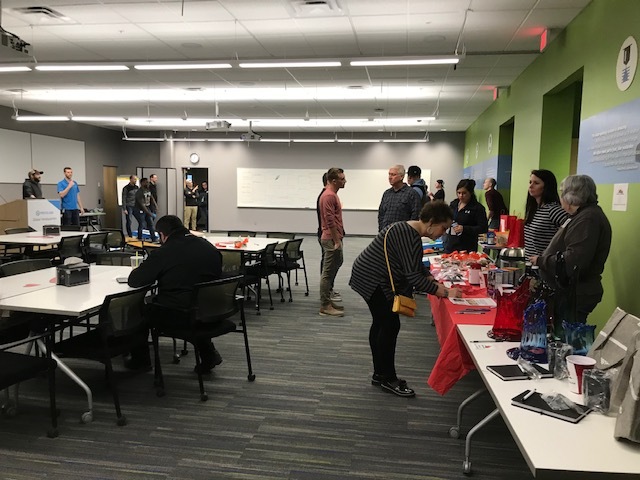 They were reminded that their knowledge and skill with social media could be used effectively by many non-profit organizations, especially as community outreach efforts can take many creative forms in the current digital age. On November 6, 2017 PBYR and Wayzata High School Y.E.S. students met to wrap $450.00 of beef sticks and send 60 letters of appreciation to deployed MN soldiers. Jennifer Rodgers, Deputy Chief Plekkenpol, Brenda Badger and Gary Goldetsky worked with the students and it was a delightful experience for all. The letter of this event is noted below. Gary Goldetsky, PBYR President will meet with the Wayzata High School students in December 2017 to further review and discuss the PBYR mission. 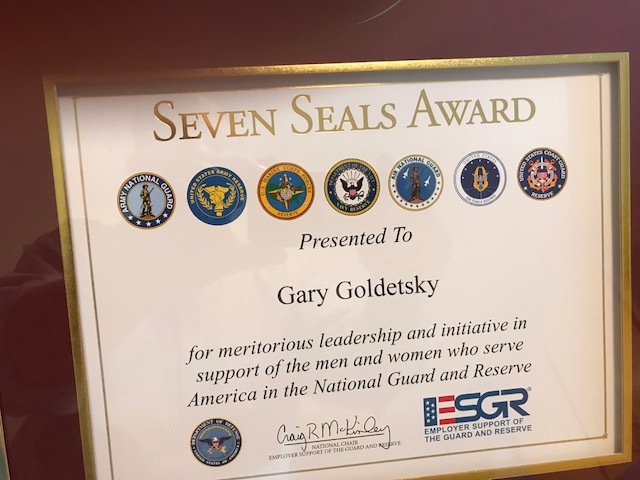 ESGR, a Department of Defense program, seeks to foster a culture in which all employers support and value the employment and military service of members of the National Guard and Reserve in the United States. For more information about ESGR outreach programs or volunteer opportunities, call (800) 336-4590 or visit http://www.ESGR.mil . PBYR met with Medtronic’s Veteran Employment Resource Group (VERG) over lunch on Oct. 23, 2017 to discuss PBYR’s history and the type of projects completed to date. Another focus of the meeting was to discuss the needs often seen with Service Members, Veterans and their families. It was a good meeting and all agreed to continue the dialogue. VERG was alerted to PBYR’s partnership with Heinzen-Ditter VFW and encouraged to dialogue with all on creative projects and options. In September, 2017 a service member from Plymouth was deployed right before the family’s scheduled move to a new home. PBYR was contacted and paid for support from a local moving company to assist the service member’s wife and 2 young children with the move. All went well and we wish them health and happiness in their new home!! Kudos to Eric and Krismar Waage for their efforts to represent PBYR at the MN State Fair in August 2017. We are lucky to have them in our network!! 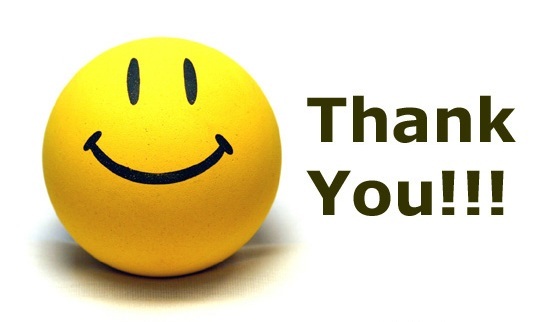 ….Thank you for sending such wonderful volunteers from your network! 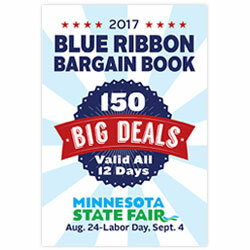 JFHQ has received complimentary 2017 Minnesota State Fair Blue Ribbon Bargain books from BTYR / Minnesota State Fair. Books can be picked up at the Veterans Service Building (20 West 12th Street in St. Paul) in my work area on the 4th floor. NO PHONE CALLS OR EMAILS will be accepted to reserve books, first come-first served. If you are outside of the metro area, contact someone you know in the area to pick up booklet for you. 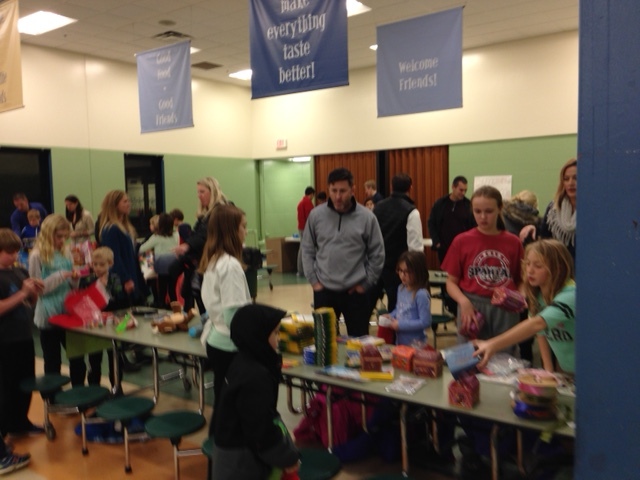 Plymouth Station Holiday Barbeque: “Funraiser” Success!! On August 22, 2017 the Plymouth Station Holiday Barbeque raised $813.31! Kudos to Kersten and Allan’s outreach efforts at the barbeque! Also, Allan helped with the cash management and related details even though he was scheduled to take a part of the CPA exam the next day. Who ever said accountants can’t concentrate on 2 things at the same time? PBYR greatly appreciates ALL of Allan’s excellent professional efforts with PBYR over the years!! 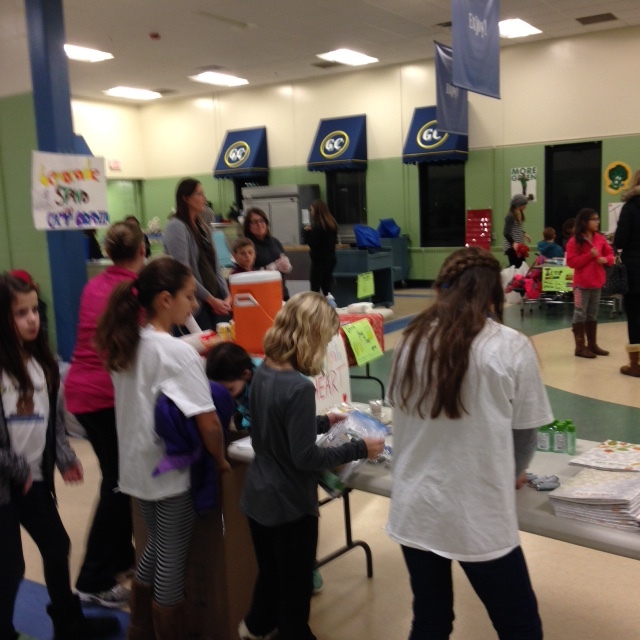 Also, PBYR greatly appreciates the ongoing support from Liz & the Plymouth Station Holiday staffers!! This was our 6th event at Holiday!! 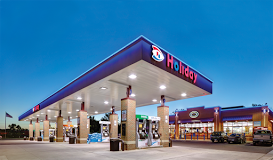 Please be sure to express appreciation to Plymouth Station Holiday and stop there for gas, food and car washes as needed—they have been super supporters of PBYR!! **Also, PBYR wishes to express appreciation to Congressman Erik Paulsen and his staff for taking time out of their busy schedules to visit, buy a burger and support PBYR’s efforts with assisting service members, veterans and family!! Good Morning Donor Connect Friends! I apologize for not getting the list out last week, it seemed as if it just wasn’t meant to be until this morning and I was actually able to remove two wheelchairs and add an amazing ramp which is also listed towards the end in the featured item section I’ve added. Within the last two weeks I have been fortunate enough to have had a small part in connecting a Veteran to a handicap van which Hutchinson Chapter 37 had available after upgrading one of their vehicles. I have also been fortunate enough to help St. Cloud Chapter 9 connect a Jazzy 600 electric-wheelchair 08/18/2017 to a Clearwater Veteran after the chapter purchased new batteries for it! I wanted to thank you all for being so willing to work with me and grow the Donor Connect Program to help get Veterans and their family members items they need, I am truly indebted to you all! 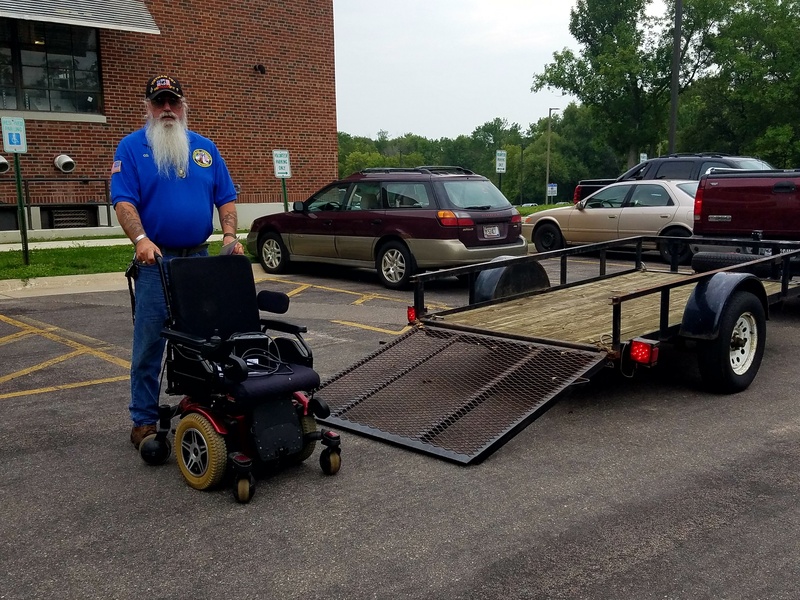 Current requests – I received a call this morning that there is a Veteran in the Brainerd MN area in need of two manual wheelchairs. If there is anyone that has information on chairs that are in the area please forward that information to me. If you know anyone who could benefit from the information in this email please feel free to share the information or have them contact me with questions. On August 16, 2017 Potbelly hosted a fundraiser and $336.50 was donated to PBYR to use to assist service members, Vets and family. The event went well and the Potbelly staff was very accommodating and as a result the manager requested a “monthly partnership” on the 3rd Wednesday of EVERY month from 5 PM to 8 PM!!!!!!! PBYR welcomes and highly values this partnership. Please support Potbelly, have a meal and express thanks to them for sponsoring a monthly PBYR fundraiser. Kersten provided assistance with outreach efforts and as a result of her efforts several individuals asked to receive PBYR communications. PBYR wishes to express appreciation with Plymouth Police Officers that came to Potbelly as well as Plymouth Council Member Jim Davis!! The crew loved the event last night, even with the storms your group did well… With your event going well and the turnout was good, would you guys be interested in doing a monthly partnership? PBYR will be at Potbelly’s on the 3rd Wednesday of EVERY month from 5 PM to 8 PM! Maybe not exactly like this but you get the general idea. 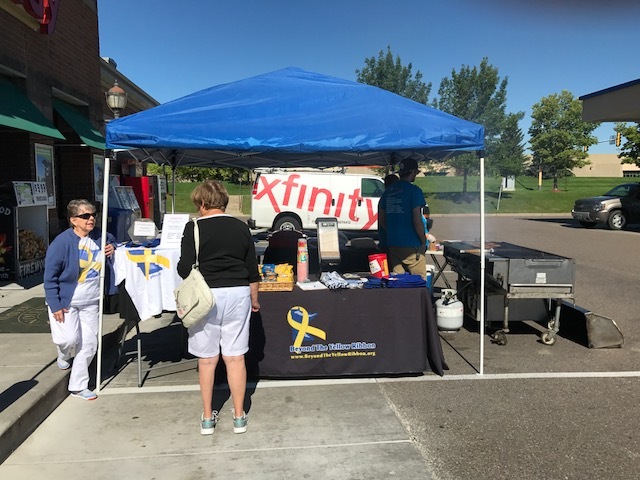 On August 4, 2017 PBYR delivered several cases of water c/o Arden Hills FAC for Danelle Bybee, Minnesota State Coordinator – Contractor, Building Healthy Military Communities (BHMC) to assist 5K participants with hydration during the event. PBYR greatly appreciated Kersten’s expert assistance at the Home Depot event on Saturday Aug 5th. As a Board member she regularly contributes to the PBYR mission. 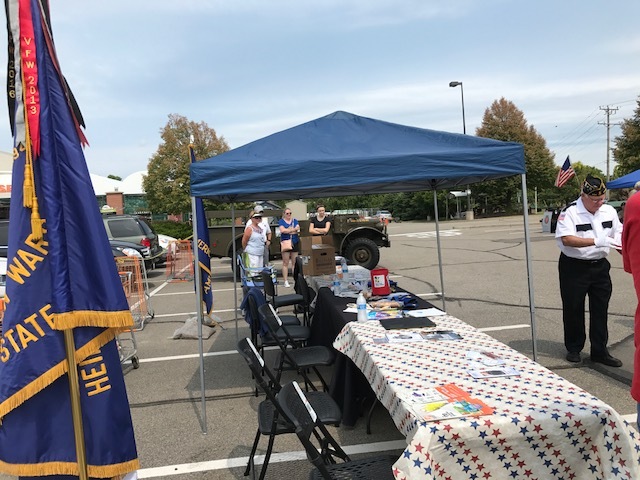 We were able to visit with fellow vendors and shared several tables with the Heinzen-Ditter VFW, Employer Support of the Guard and Reserve and the American Legion. There was a light stream of folks visiting our tables. 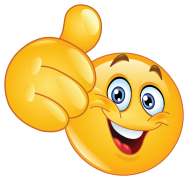 Several people decided to join our network on Saturday and will be added to our mail distribution list soon. We received a very small amount of donations, however the real purpose of the event is for PBYR to express appreciation to Vets and Service Members and support our partner Home Depot in the event. 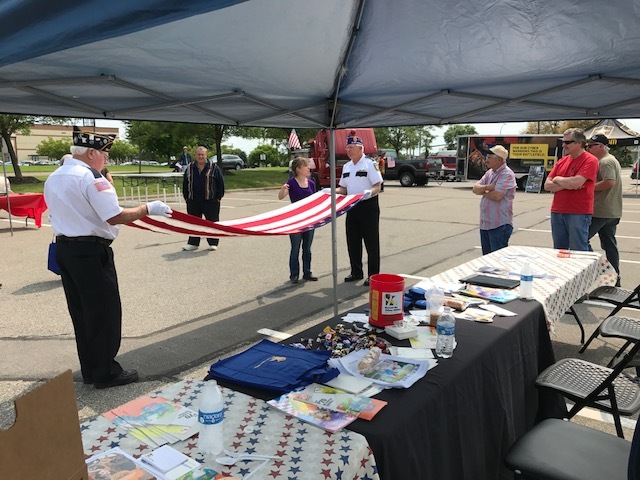 Jim Heimerl expertly demonstrated flag folding and gave some history about handling the flag. We gave out Girl Scout cookies and chocolate candy at the event. **Chocolate candy and warm weather may not be the best match—some kids really needed to be hosed down after the chocolate!! Suspect their parents will forever remember PBYR! KUDOS to The Plymouth Lions !!!! In June 2017, the Plymouth Lions gave a $4000.00 donation to PBYR. This very generous gift represents continuing annual support and trust with PBYR since 2012. We greatly appreciate the Plymouth Lions’ longstanding assistance, trust and partnering in the PBYR mission. This donation was greatly needed and appreciated and will help in the mission of PBYR to serve service members, Vets and their families. The PBYR Board of Directors greatly appreciates the longstanding support and friendship with the Plymouth Lions!! In June 2017, PBYR assisted a Milwaukee family of a service member that is scheduled to come to Minnesota in July for specialized surgery. 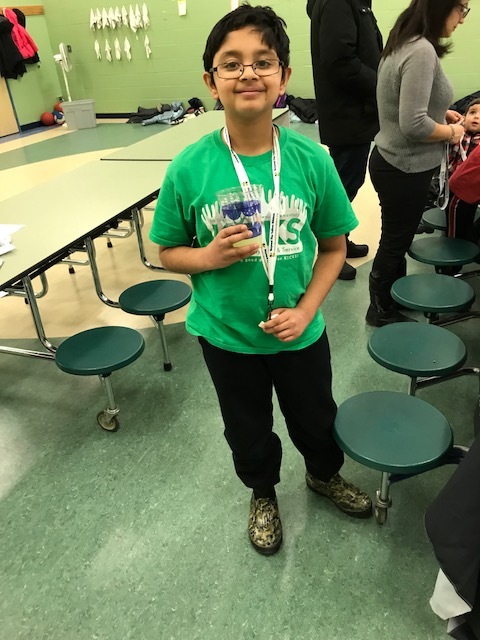 PBYR provided $200 of gas and food gift cards as the family will need to remain in Minnesota for extensive follow-up medical care after the specialty surgery. We wish the family well and hope the child recovers quickly! Free Durable Medical Equipment is Available!! PBYR will help highlight the availability of donated durable medical equipment, e.g., wheel chairs, walkers etc on the PBYR website. There is no charge if people need to use this equipment. 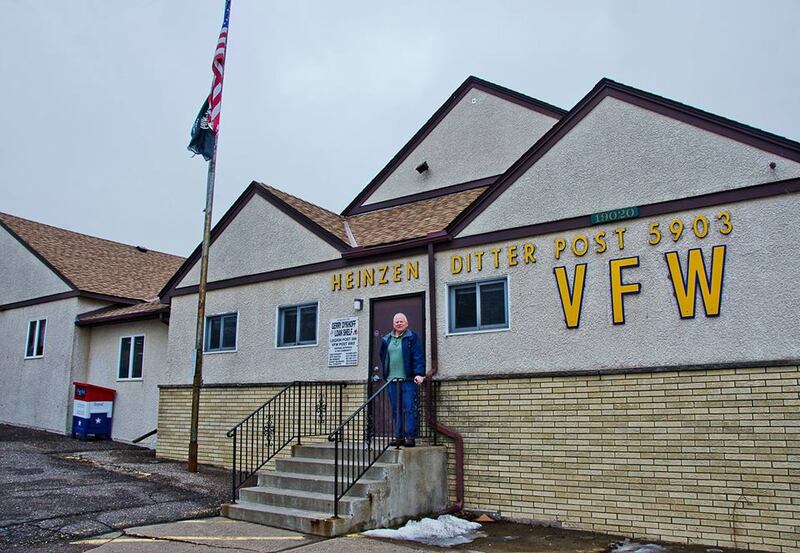 The Heinzen-Ditter VFW has stored durable medical equipment as a result of their work with the Gerry Dykoff Loan Shelf program (telephone 612 865-0247). Jim Heimerl at the VFW can also be contacted at (763) 478-2077. This equipment will certainly assist service members, veterans and their families when need arises. PBYR thanks Heinzen-Ditter and the Gerry Dykoff Loan Shelf program for these thoughtful and helpful efforts!! We are absolutely astounded at this benevolence and generosity. Thank you so much, the depth and breadth of our gratitude is unspeakable. M__ is weeping with joy! I hope you will please add me to your future mailing list as we would like to return our gratitude to other Veteran’s and their families in the future. There are many ways to support Veterans, Service Members and their families. The VFWs do this in a variety of important ways 24/7 and they also need our help and support for their efforts from time to time. Heinzen-Ditter VFW, a longstanding partner with PBYR is sprucing up the exterior of their building with lighted signs—a not inexpensive task! This will permit easier recognition of the building and provide a more welcoming atmosphere and entry. Kudos to J. H. Larson Company, Plymouth for offering to donate faucets in the recent request for service!! We greatly appreciate their membership in the PBYR network and their kind and generous offer!! There is a nice story in this mornings issue of the Star Tribune “Minnesota” section by Kelly Smith that might warm your heart on this cold Minnesota day. Many of us have thrown a coin or two in a pool and made a wish and never gave it a second thought. Little did we know that we were helping local charities. In 2016 PBYR was one of those lucky enough to be a recipient. 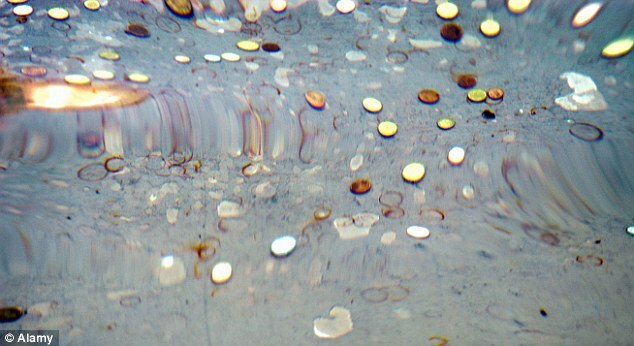 So next time that you wander by the Hennepin County Government Center pool, reach in your pocket or purse and drop in a coin or two as you make a wish, you are not the only one that will benefit. I am not going to spoil the rest of the story for you but you can read it here. 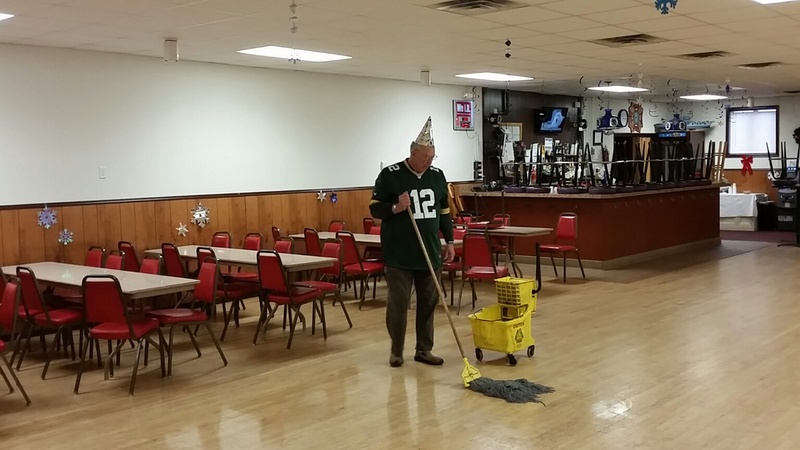 I took this picture of Jeff Grates swabbing the floor at the VFW wearing his Packer jersey yesterday. The picture’s kinda funny, but telling. Jeff was an Army Command Sgt. Major for 28 years. He also spent over 40 years in law enforcement. On New Years Day 2017 Jeff is still doing what he can to serve veterans and his community. He could have been any place celebrating, but he had chores he wouldn’t let slide. Jeff’s not unique. Each of you have done the same thing . It’s this commitment that makes the American Legion, VFW, Disabled Veterans and Purple Heart so special. We’re family. We argue, fight, get peed off over operational differences and much more. However, we are family and that makes us strong. Everyone needs help at some point. No one stands up and advocates for veterans and their families more than the Legion, VFW, Disabled Veterans and Purple Heart. No one!! Our family had some squabbles in 2016 for sure. I’m asking each of you to put that in the past and recommit to helping our fellow veterans. You’ve all heard me say it a hundred times. “If we don’t look out for us no one else will”. Many veterans were treated terribly when they came home from the service. Please, let’s stand together and never allow that to happen again. I’m asking you to forward this e-mail to the other veterans in our Post’s and community. It’s important that our servicemen and women know they’re not alone. I have very few e-mail addresses in my book so I need your help. Thanks in advance. Together we can make 2017 a very good year! You can read the entire article by going to Sending holiday cheer to soldiers overseas . 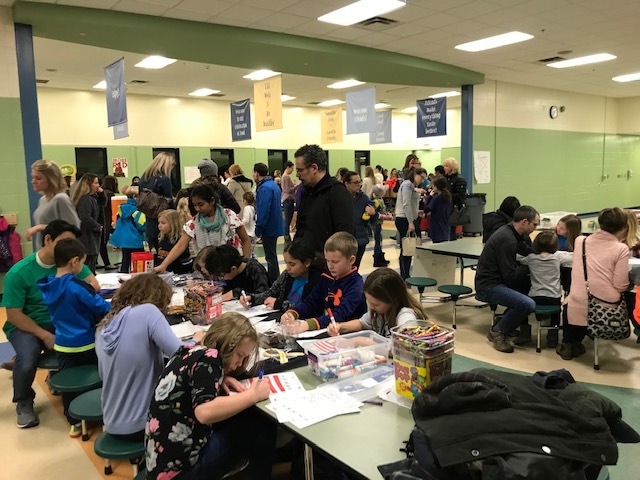 Plymouth Beyond the Yellow Ribbon (PBYR) was delighted to participate in the Greenwood Elementary School’s Community Service night on December 8, 2016. For additional information please see the PDF below. PBYR Sincerely Thanks the Greenwood Students, Parents and Staff for the Donation of $350 in Gift Cards!!!! PBYR Sincerely Thanks the Greenwood Students, Parents and Staff for the Donation of $350.00 in Gift Cards!!!! 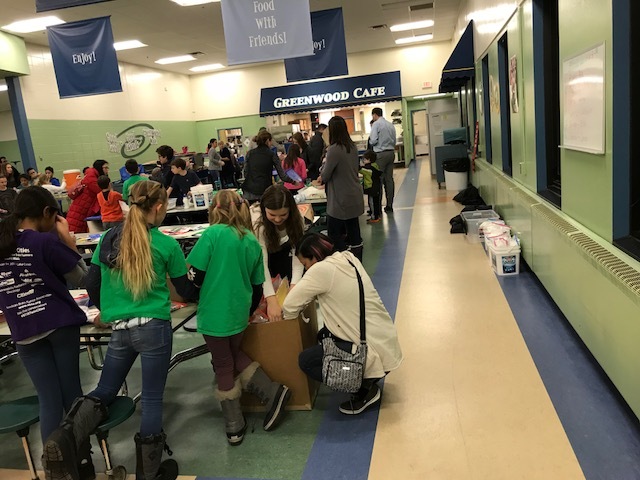 We greatly appreciated the invitation to participate in Community Service Night at Greenwood Elementary School on December 8, 2017. Jennifer and I saw that Greenwood is a school that is clearly doing very well! The students and their parents were delightful and there was a lot of positive energy present! Kristen Miller, Editor from Sun Sailor also came to the event and will write an article with pictures. 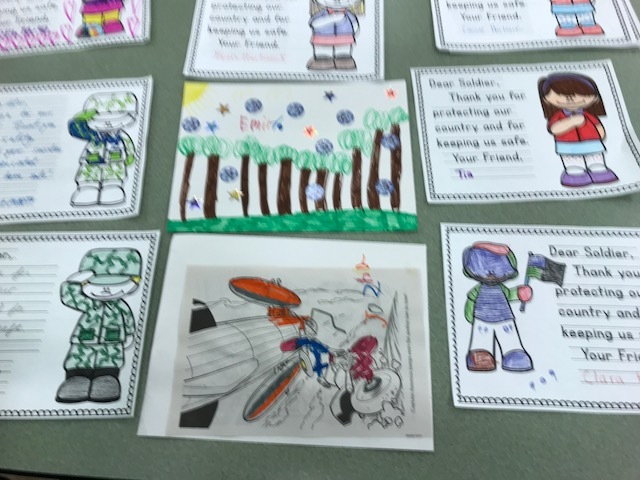 The students drew beautiful pictures and wrote very nice letters to soldiers which we will forward to the Family Assistance Center (FAC) in Arden Hills to send to soldiers needing a boost.Additionally, the parents and students donated $350.00 in gift cards for food, gas and personal items which will be used in emergency requests for service and assistance for veterans, service members or their families that contact PBYR directly or that are identified by a member of the PBYR network or through our partnership with the Plymouth Police Department or Heinzen Ditter VFW. The PBYR Treasurer will be given the cards for safe storage until needed!! PBYR greatly appreciated their thoughtful gesture and note our sincere THANKS!!! This money will be used with Vets and Service Members in crisis that need help with food or transportation costs. SUCCESS!! One of the Vets that has been in contact with PBYR recently received employment due in part to the distribution of employment opportunities by PBYR. His training, skills and presentation were the other key factors to this success. PBYR will always pass on employment leads as this serves a very leveraged activity to help Vets and their families. Please send any and all employment leads to my attention and they will be distributed and placed on the website http://www.PBYR.org . On October 15, 2016 PBYR was represented by Kersten a newly elected PBYR Director and she expertly managed the booth. The open house was well attended. 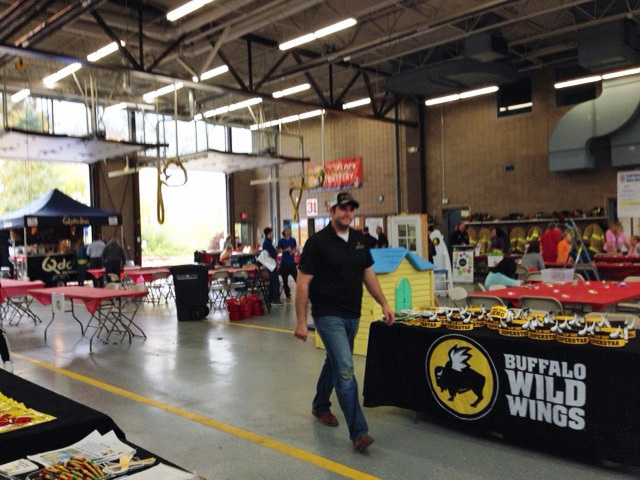 Gary was able to review PBYR partnerships with Home Depot, Buffalo Wild Wings, Plymouth Holiday Station and other groups at the event. All remain committed to PBYR and the statewide BYR program. The good energy from all these community partners was high!! I saw your resource page and it was quite helpful. Thanks! I’m Elena from Caring 4 Our Kids. We’re families of persons with autism building a site as a resource for those with autism and their families. I thought I’d pass along a few other sites I found useful so maybe your readers might also benefit. On September 24, 2016 PBYR participated in Plymouth on Parade with walkers and a booth for the 5th consecutive year! We did some outreach and it remains clear that many people still do not know about PBYR or theMN BYR network of 219+ cities. The PBYR goal for such events is to request that people visit our website (PBYR.org) and note the list of resources available for service members, veterans and their families. Also, to welcome them to reach out to PBYR via the website if they have a special need or request for the PBYR Board to consider. PBYR Participated in the MN State Fair! I want to thank you for making the 2016 Military Appreciation Day at the State Fair a success! 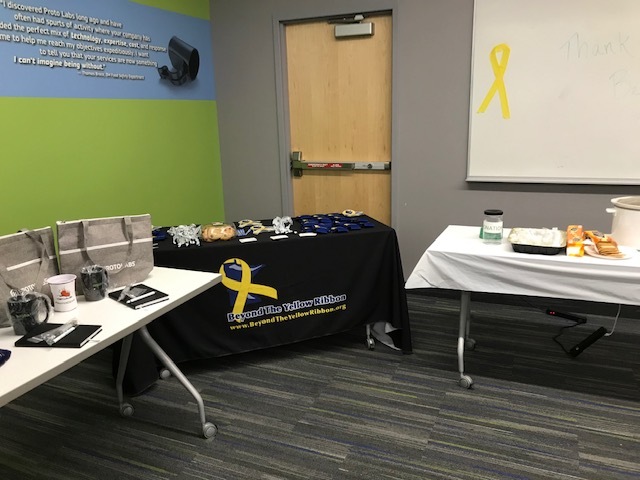 Beyond the Yellow Ribbon really got the word out and together we made some great connections with those who are soon to be involved with their local networks. I enjoyed meeting/reconnecting with you and appreciate your support at the BTYR Booth. The parade really came together and “set the stage” for the Ceremony. As a service member and veteran I truly appreciate everything you are doing to support us! Thank you, thank you, thank you! Your service and efforts have made a huge difference in the life of Sam and Mardelle. Sam is settling in to his new apartment and receiving the care that will make a huge difference in his quality of life. Mardelle is adjusting at home and preparing to get their house on the market. This couple has been in need (in many ways) for a very long time and your assistance has helped to meet a portion of that need in a GREAT way. On behalf of this family, thank you! On July 30, 2016 PBYR assisted an 86 year old Veteran (Retired Navy Commander) move to assisted living. His family was very appreciative of PBYR’s efforts. This assistance will greatly improve the quality of life for the Vet and his wife. Kudos to Hans, Justin, Jennifer, Liam, Jacob, and Allan for their volunteer efforts with this project. The temperature on Saturday was warm, the items big, and the donated truck and trailer was full!! Thanks for all the help and muscle!!!!! On Saturday, July 23, 2016 Kersten & I participated at the Military Appreciation Day Event at Home Depot. Kersten’s efforts were again greatly appreciated, especially as the sky was very dark with an impending thunderstorm when we arrived!!! We raised $39 but more importantly we were able to thank many veterans for their service, alert them about www.PBYR.org and demonstrate partnering support with Home Depot. Sue was very nice and helped with our booth, chairs and related event details and these efforts were appreciated. 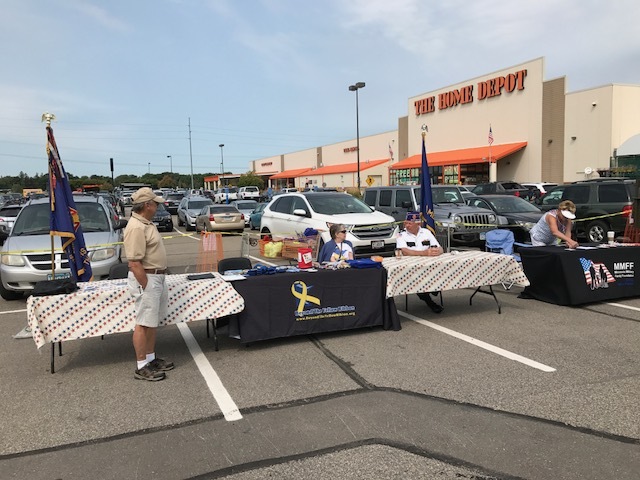 The Veterans we talked with said they really enjoy Home Depot’s efforts with Military Appreciation Day and many come to this year after year. PBYR always enjoys partnering with Home Depot—a very good business community neighbor!! The pictures from this event will be placed on PBYR.org when they arrive from Home Depot. Oh! Don’t forget the Home Depot Military/Veteran Discount Policy, they offer a 10 percent discount, up to a $500 maximum, to all active, reserve, retired or disabled veterans and their family members with a valid military ID, every day of the week. All other military veterans qualify for a 10 percent discount during Memorial Day, Veterans Day and Independence Day. PBYR raised $501.00 at the Plymouth Station “funraiser” barbeque on July 5 , 2016. We dodged all the storms and rain in the area well! ** Kudos to Sylvia, Allan, Chelsea and Liz for all the help at this event!! PBYR greatly appreciates the partnering with Plymouth Holiday Station the past 4 years!! We greatly appreciate all that they do to help make Plymouth the #1 city in the US!! 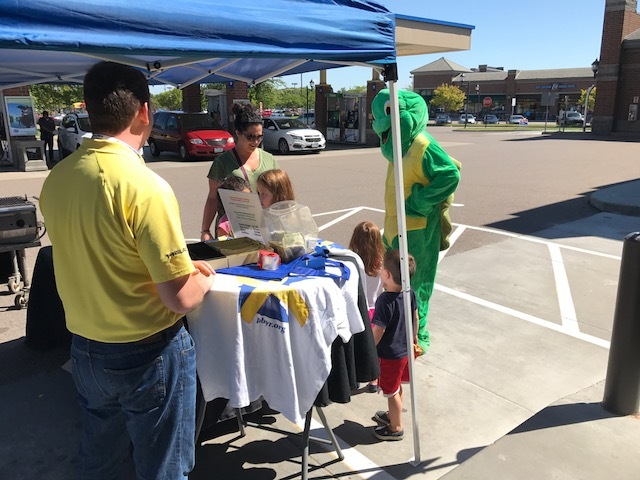 On July 1, 2016 PBYR engaged in outreach, education and fundraising at Cub Foods on Vicksburg. **Kudos to Rodney Walker and Kersten for their help in this project!! Rodney’s many years in the Navy was a plus as was Kersten’s manner and patience with folks. We received approximately $93 in donations and more people have been informed about how PBYR may help service members, veterans and their families! We appreciate Cub’s support!! We greatly appreciate all that they do to help make Plymouth the #1 city in the US!! In June 2016, the Plymouth Lions continued their longstanding Support and Partnership with PBYR with a generous donation of $4,000.00. This money will assist service members, veterans and their families. This marks the fourth year in a row that the Plymouth Lions have financially supported PBYR. ** PBYR is very proud and appreciative of the Plymouth Lion’s continued support and trust!! We greatly appreciate all that they do to help make Plymouth the #1 city in the US!! 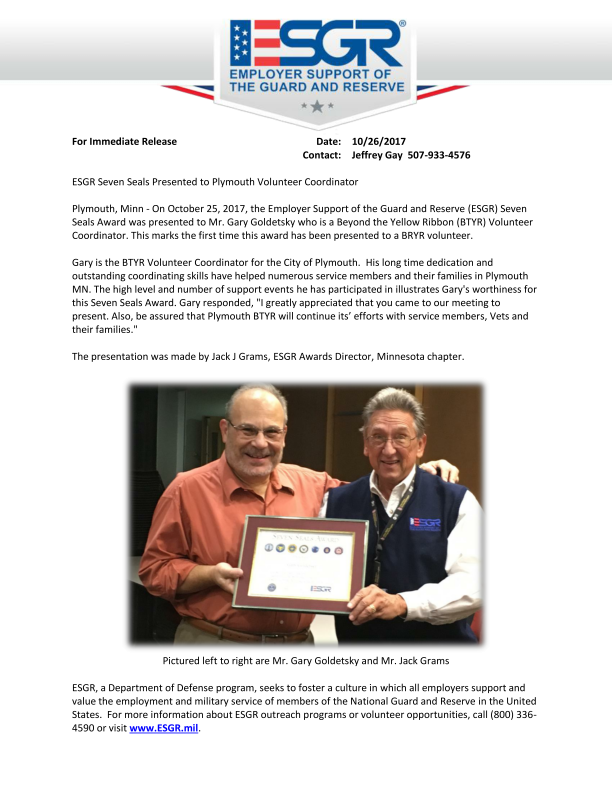 On April 28, 2016 Plymouth Beyond the Yellow Ribbon (PBYR) finalized an emergency assistance project with a veteran that had experienced many life change events and financial distress. His car was unreliable and likely unsafe at any speed and needed replacement. PBYR offered a grant and a no interest loan and these were put toward a down payment on a good used car that was located by an officer of the Plymouth Lions. This will permit the veteran to travel to his job in Bloomington and transport his son safely. In this successful effort 2 Plymouth community organizations were able to partner and assist a veteran! The veteran was very happy! Thank you so much for your recent care packages stuffed with Caribou Reindeer Blend coffee. That particular variety has become a favorite of mine, and I’m sure many of our battalion soldiers. As I’m sure you know, soldiers love their coffee, and having some of the home state’s finest makes it even better! We’ve also spread the cheer among our subordinate companies, particularly from South Dakota, Ohio and Utah. Believe it or not, there is a Caribou location in the main concourse at Kuwait City International Airport—although most of our troops will never get to see it. On February 4, 2016 Annette Kuyper, Director of Military Outreach and Gary Goldetsky, PBYR President presented to the Plymouth Rotary in a noon lunch session. The presentation was well received and Annette highlighted that the BYR program is gaining momentum to serve as a national model as it has been deemed so successful in Minnesota. She has met with First Lady Michelle Obama and Dr. Biden in the past to discuss the program. Both offered support and encouragement as they were impressed with the BYR program. The Rotarians asked many good questions about BYR and PBYR. They were updated by Gary about PBYR’s local efforts since Plymouth was proclaimed a BYR city by Governor Dayton in 2011. In January 2016 Vance Harris, a PBYR Director served as a pallbearer in a veteran’s funeral at BYR’s request. Vance is a proud Army veteran. PBYR, BYR and the soldier’s family greatly appreciated his efforts and demonstration of respect, honor and kindness to the family and the deceased. 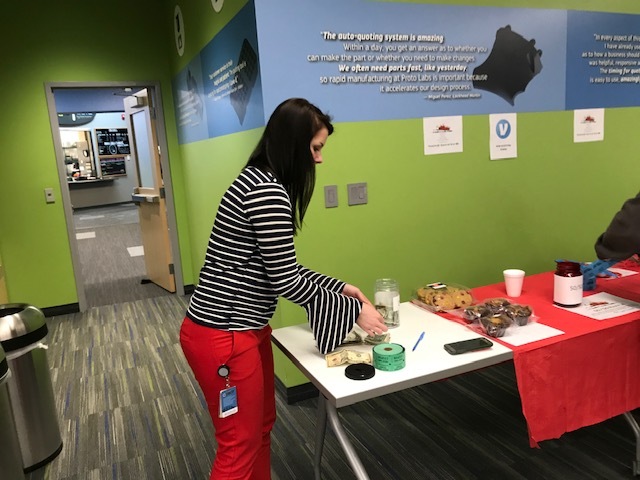 Caribou Coffee, Arden Hills FAC & PBYR Successfully Partnered on “Operation Coffee”! On January 6, 2016 PBYR expresses great appreciation to Mitch Carter, Manager of Caribou for donating coffee from several stores to be used for a deployed MN unit and returning soldiers. PBYR will cover shipping & transport costs. Special thanks for Clinton Asche for offering help and a vehicle!! Also, special thanks to Caribou (several branches & their customers participated to make this possible). Also, special thanks to the military recruiters from Brooklyn Center that assisted in the pick-up & transport. The coffee is stored at the Arden Hills FAC which is in the Readiness Center. This coffee will be packaged & shipped to a deployed MN unit in the near future. PBYR has allocated $300 for shipping/transport. Some coffee will be used for returning soldiers. Also, a small amount of coffee was distributed today to the recruiters that assisted in the pick-up & transport . This coffee really smelled good and I think the troops will appreciate the coffee and the efforts of all that made it possible!! In December, 2015 PBYR provided pick-up and delivery of a beautiful Xmas tree and ornaments from the BYR organization to a former service member and his young son that have recently faced some hardships and health issues. They were very appreciative and offered all Seasons Greetings!! PBYR is currently attempting to help them on several fronts. 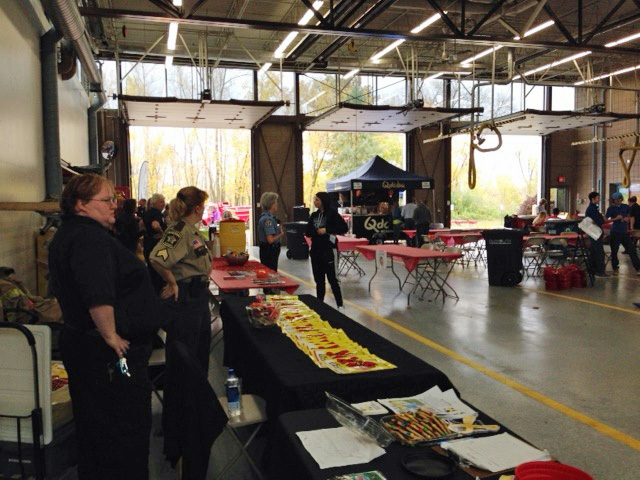 On November 14, 2015 PBYR and the Heinzen-Ditter VFW shared a table at the Plymouth Home Depot Store for Veteran’s Appreciation Day. Many of the Vets told me that they came to Home Depot just for this celebration—not to obtain materials for home repair projects. Special thanks to Sylvia, Doug and Paul for donating several hours to honor Vets that stopped by our table to chat. 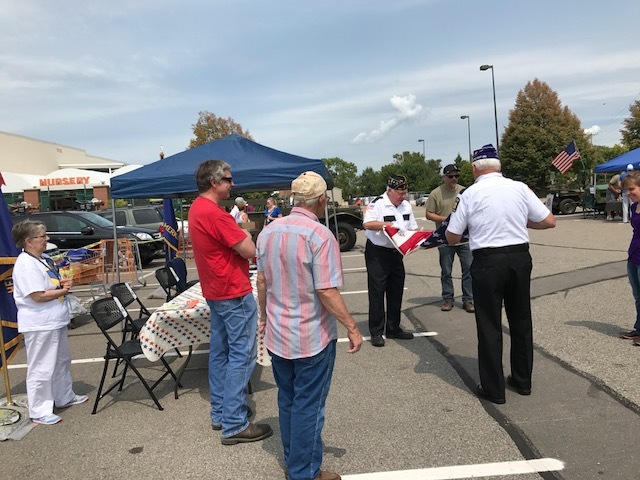 PBYR has great appreciation for Plymouth Home Depot’s efforts for hosting his yearly event with barbeque grilling and all that they do to help Veterans and their families in Plymouth!!! 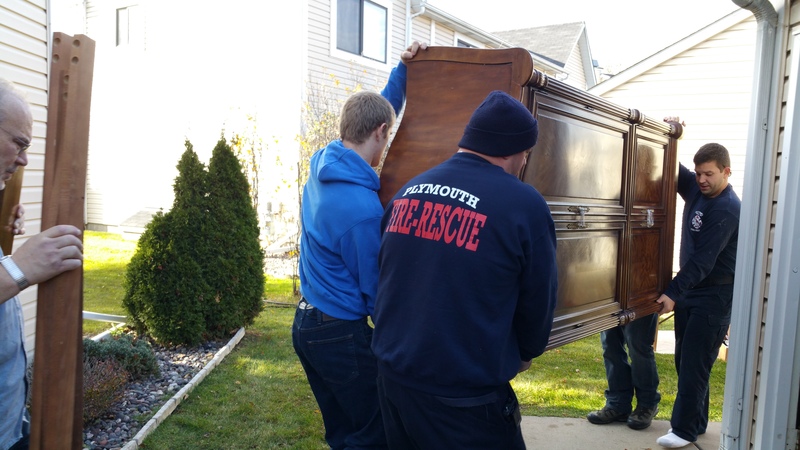 On November 7, 2015 PBYR and community partners helped a 86 year young veteran and his wife move to new housing. This moving event was completed on a Saturday and involved over 45 individuals that worked very hard to assist this family. 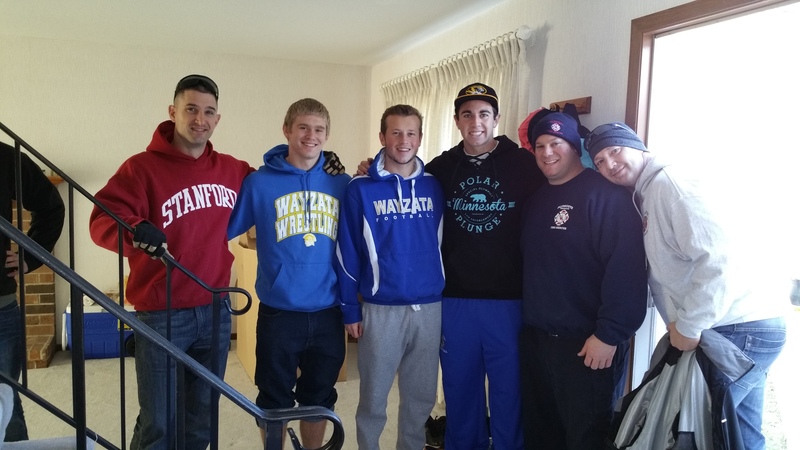 PBYR send kudos and thanks to all our partners in this effort: PLYMOUTH FIRE DEPARTMENT, WAYZATA FOOTBALL TEAM VOLUNTEERS AND THEIR COACHES, HOME DEPOT and volunteers that provided trucks, trailers, muscles, and food!!!!!!!!!!!!!!! These community efforts represent the health, spirit and vitality of Plymouth. PBYR could not have provided this service without the coordination and help from our partners. The service member was very appreciative and stated he was overwhelmed by the number of people that volunteered to help a stranger. The Sun Sailor recently did a nice story on the move that you can view here. Below we have some pictures of the hard working volunteers. Please click on the images to make them larger. Again, a huge round of thanks for all the help. In October 2015 PBYR helped a Veteran who recently lost temporary employment with the repair of his car’s brake light, a Holiday gas card and gave him helpful employment leads. He was very appreciative of PBYR’s efforts. On July 9, 2015 the Sun Sailor published an article about the wonderful work that the Plymouth Beyond the Yellow Ribbon performs. You can view the article here. Plymouth dedicates new Veterans Memorial at June 29 Ceremony. 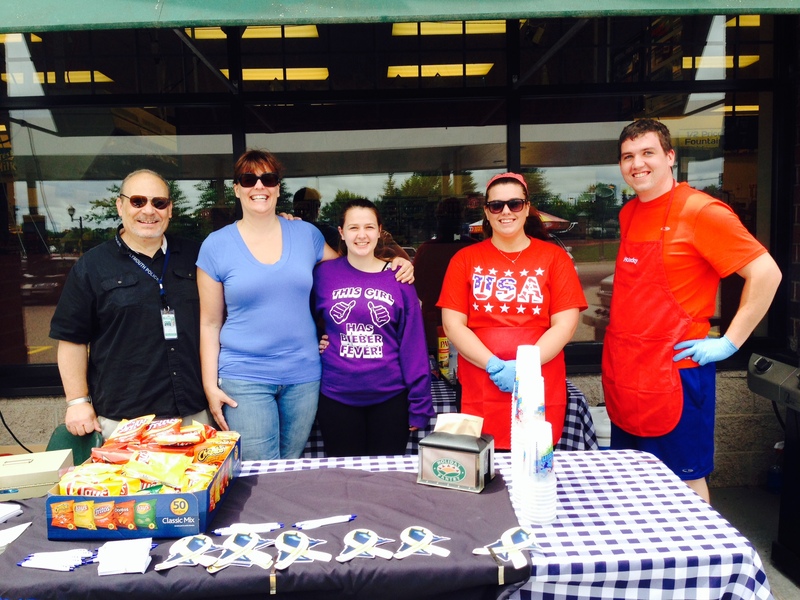 On July 7, 2015 PBYR completed our 3rd “FunRaiser” at the Plymouth Holiday Station at highway 55 and highway 24. We greatly appreciate Plymouth Holiday’s continuing support and trust in PBYR!! On June 29, 2015 PBYR participated in the opening of the Plymouth Memorial. 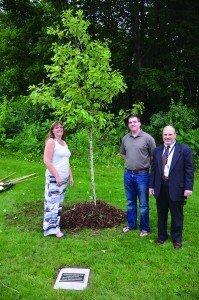 PBYR sponsored an American Dream Oak which is a living part of the Memorial. 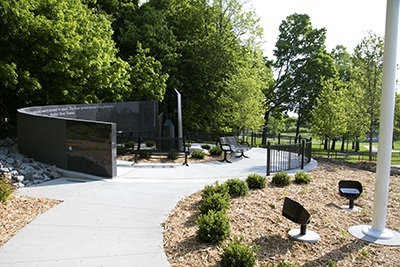 Many military families and Plymouth citizens have expressed appreciation with the Plymouth Memorial and appreciate the elegant and thoughtful design.For additional information on the Plymouth Veterans Memorial please visit here. 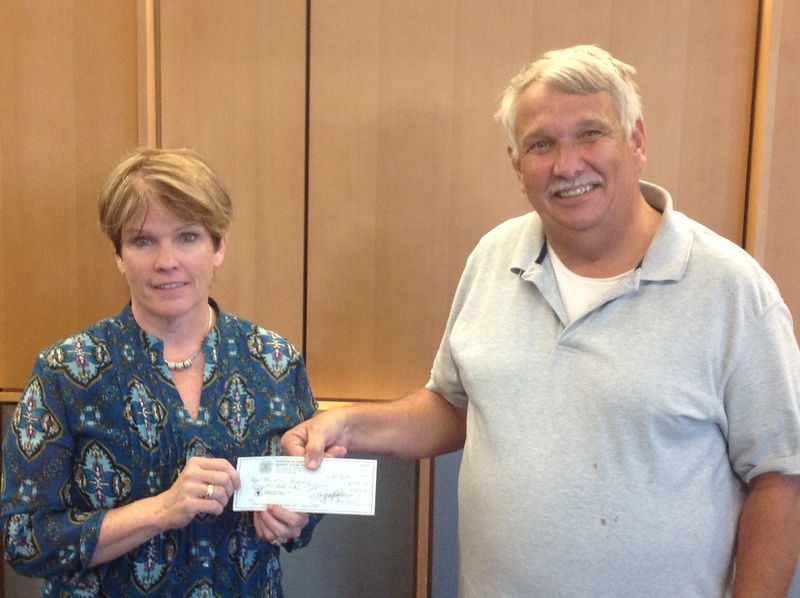 On June 29, 2015 The Plymouth Lions Club donated $2000 to Plymouth Beyond the Yellow Ribbon. This is the 3rd grant received from the Plymouth Lions to date!! This donation confirms continuing support and partnering with PBYR by the Plymouth Lions. PBYR greatly appreciates and values their donation, trust and their efforts to partner with PBYR to serve veterans, service members and their families. In May 2015 PBYR was contacted by the wife of a former Marine to provide sympathy cards for military families that were impacted by a recent military helicopter crash with loss of life. Her friend in California will help distribute the cards. PBYR offers our condolences, prayers and sympathy to the grieving families and special recognition and appreciation for the soldiers’ service, commitment and efforts to keep us safe. 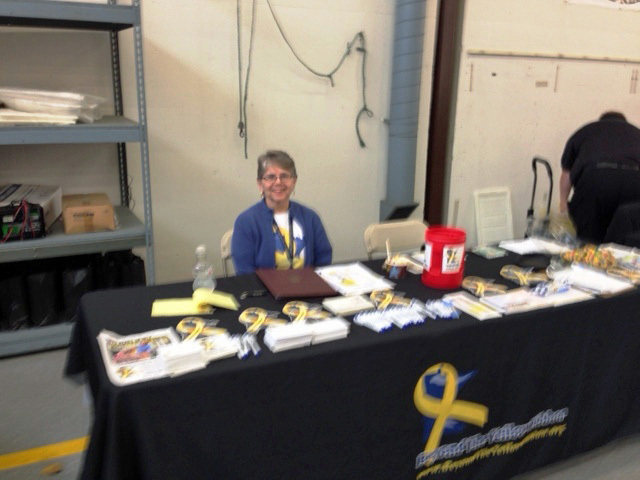 On May 2, 2015 PBYR and Heinzen Ditter VFW shared a table at the Home Deport Military Appreciation Day. 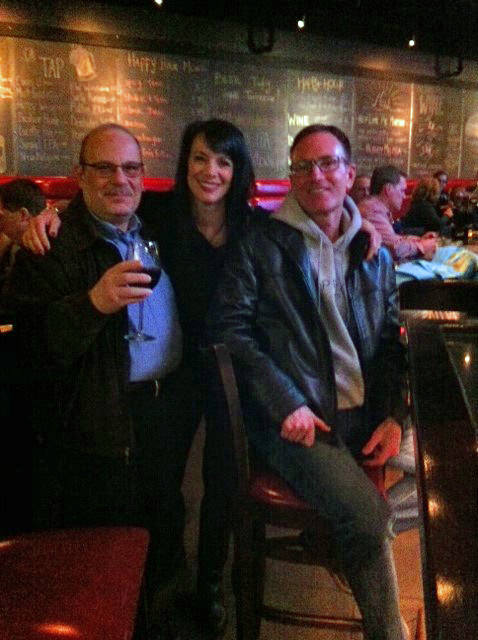 Special thanks to “Handsome” Bob Prestificippo and Doug Johnson. The day was perfect and the Vets clearly appreciated the “Thanks”. PBYR engaged in needed outreach and education. And Bob was clearly Handsome! Doug and I took notes. 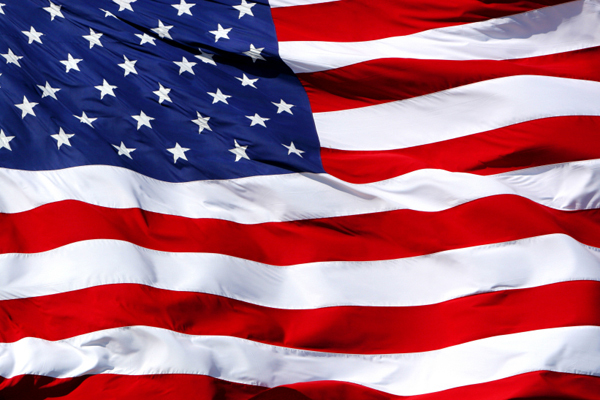 PBYR applauds Home Depot’s efforts to sponsor a Military Appreciation Day. 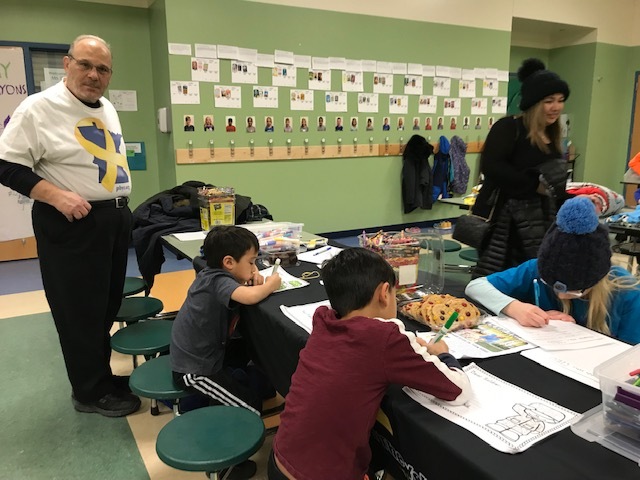 In January 2015 PBYR assisted the Brooklyn Center Family Assistance Center (FAC), a PBYR partner to contact and evaluate apartment and housing options for a service member in need of affordable housing in either Plymouth, Golden Valley and St. Louis Park. In December 2014 Plymouth Beyond the Yellow Ribbon (PBYR) assisted a Vet, a Plymouth resident with a car rental after his car’s engine died and needed replacement. PBYR coordinated with the soldier’s Commander, a local police department, Cottage Grove BYR and the BC FAC to obtain a grant for the car repair. All provided helpful and very prompt service to this soldier within 24 hours of referral. The soldier is happy and will keep PBYR informed if additional service is needed. He is working 2 jobs, however the large and unexpected car expense was overwhelming. Also, the PBYR network was able to identify a very nice car that could be purchased at a reasonable price if he decided not to repair his car. PBYR appreciated the excellent teamwork from our partners to assist this soldier! On Saturday, December 6th we will be welcoming home soldiers from the A452 out of Ft. Snelling. Part of my unit just returned home from a deployment and I am coordinating a welcome home party and our annual Holiday party. The date of these combined parties is Dec 6 2014, during the day. 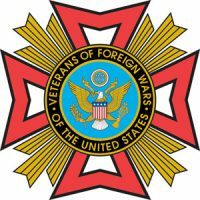 I also and looking for a VFW to adopt my unit to combine volunteer efforts to give my unit all the soldiers deserve. We are adopting this unit as well during this event. 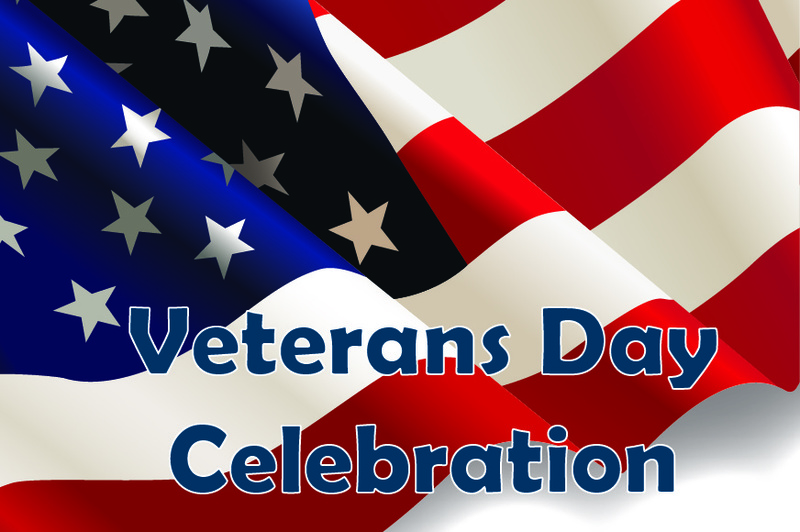 This event will take place at the Hamel – Plymouth VFW 19020 Hamel Road, Plymouth, MN from 4 PM until approximately 8 PM. We will have a collection for toy’s for tot’s in additional to the food shelf. We will have live music as well, stop by and welcome these soldiers home. On December 2, 2014 we posted new education opportunities on our Employment Opportunities page. If you are looking for some education opportunities, please check them out and don’t forget to tell them that PBYR sent you. Good luck! Please click on the link below for more information on the Taco Bar, Raffle and Live Music that will take place from 4-8 PM on Saturday, November 8, 2014. On September 22, 2014 we posted several new employment opportunities on our Employment Opportunities page. If you need employment, please check them out and don’t forget to tell them that PBYR sent you. Good luck! On September 15, 2014 PBYR learned that the Plymouth Lions made a $2000 donation to Plymouth Beyond the Yellow Ribbon in July 2014. PBYR is very appreciative and thankful for this very generous donation. PBYR highly values the excellent relationship and partnership with the Plymouth Lions since 2012 to serve service members and their families. On September 10, 2014 Plymouth Beyond the Yellow Ribbon, S & S Tree and Landscaping , Southside Crane and the City of Plymouth assisted a deployed service member with a big task–the removal of a 43 foot diseased elm tree. The following video clip highlights that this was a really big ugly tree and a complicated task. All partners in this process worked together flawlessly. PBYR is very grateful for the support, generosity and assistance of S & S Tree and Landscaping and Southside Crane!! These companies and staff stepped forward and represent the best in Plymouth and in the United States as strong committed community partners. I just want to thank you all for your work and contribution to this project. I know it was not an easy task and the weather was not the nicest. It means so much to us to know there are people, companies, and organizations out there to help military families. We never thought we would be on the receiving end of such an amazing gift and we are truly thankful. I would just like to tell you what an honor it was to work with your organization. Could you please let the soldier know that we are all grateful for his service, we really can’t thank him enough for all he does for each and every one of us. I look forward to working with your organization again soon. On August 4, 2014 Bob Prestificippo, a PBYR volunteer (AKA “Handsome Bob”) helped with a Red Cross blood drive at the request of VFW Commander Doug Johnson and Ms. Laurie Anderson, from The Church of St. Anne. Bob is an active and longtime Plymouth volunteer. On July 8, 2014 PBYR assisted a couple (both Veterans with lifting limitations) to move a dresser from a storage unit to their apartment and rotated their mattress. Both were very appreciative of PBYR’s efforts. Special thanks to PBYR volunteers Hans Brakob and Brian Davis for a job well done!! 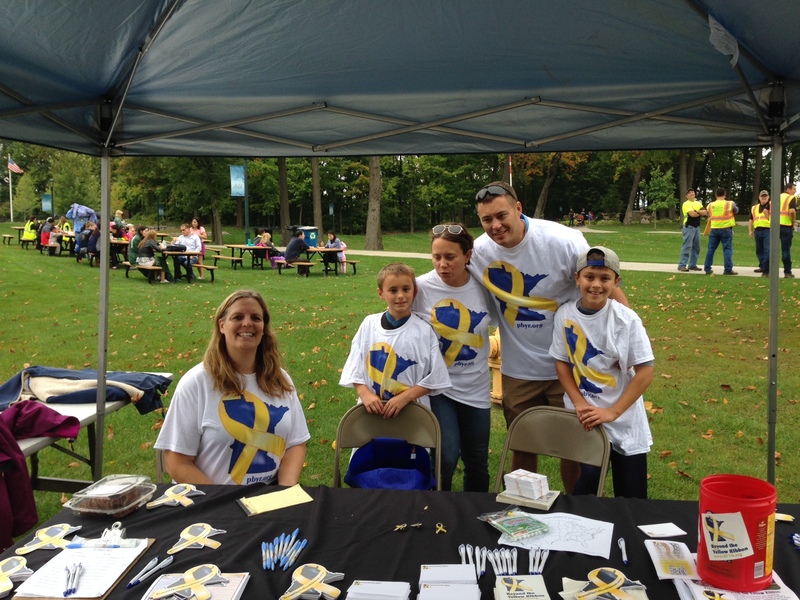 Plymouth Holiday proudly hosted the 2nd Annual Plymouth Beyond the Yellow Ribbon (PBYR) FunRaiser on July 1, 2014. PBYR greatly appreciated their sponsorship and partnering to serve service members, veterans and their families. As a result of Plymouth Holiday’s efforts and support, Plymouth Beyond the Yellow Ribbon received a donation of $487.00 to assist service members, veterans and their families. 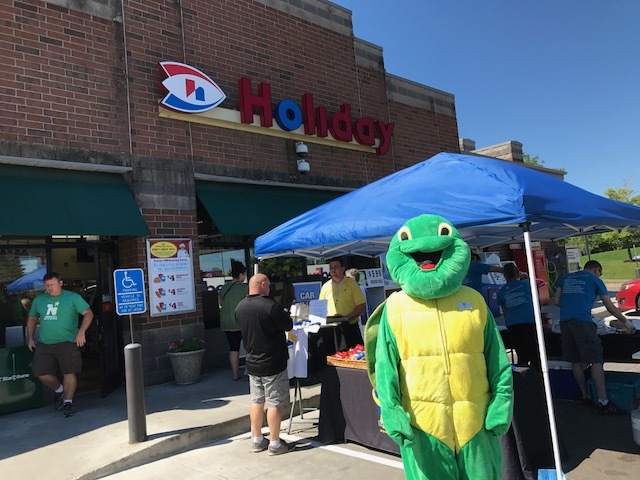 PBYR wishes to extend thanks, appreciation and salute Plymouth Holiday and their employees for their excellent community support efforts, donation, good company and the beautiful day for a barbeque!!! On May 8, 2014 PBYR sponsored presentations from Sarah McGinty, CVSO and Thomas Knutson, a wounded warrior . They spoke about supporting service members with resources, assistance and employment. The presentations were well received and they answered many questions. It was very clear that both speakers are committed and willing to assist PBYR to meet service members needs with benefits and employment consultation. In December 2013 PBYR provided gift cards to Chaplain Buddy Wind as he was going to visit Wounded Warriors. 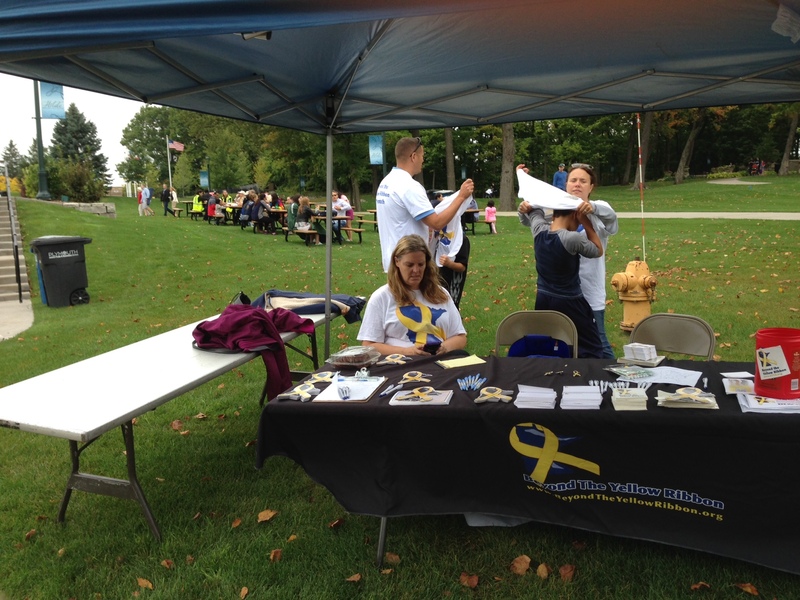 This is his note of thanks to Plymouth Beyond the Yellow Ribbon and Ms. Karyl Sorge, PBYR Treasurer. On April 26, 2014 from 11 AM to 2 PM PBYR will have a booth at the Plymouth Home Depot (County Road 6 & 494) to demonstrate support for service members, veterans and their families. On April 11, 2014 and April 12, 2014 PBYR will have a booth at the Plymouth Yard and Garden Expo at the Plymouth Creek Center. Jennifer Rodgers and others are slated to provide education, PBYR hand-outs and PBYR contact information to the attendees. In March 2014 PBYR sent Gary Goldetsky and Jennifer Rodgers to assist the Plymouth Lions in a major (phase 1) clean-up of the Medicine Lake Community Center. A good work crew assembled with Plymouth Firefighters and others and major progress was seen at the Community Center after a day’s work. In March 2014 PBYR responded to a request for service from a disabled female service member. Clinton Asche provided a truck and with Gary’s assistance they helped move and assemble a bed for her and re-arrange some storage boxes. Home Depot also offered assistance, if needed. On March 15, 2014 Plymouth Mayor Slavik, a PBYR Director worked as a “celebrity bartender” at the Eat Shop in Plymouth from 8PM to 10PM . Her tips and a percentage of bar sales were donated to PBYR. Her efforts are greatly appreciated as is the assistance and support from the Eat Shop. 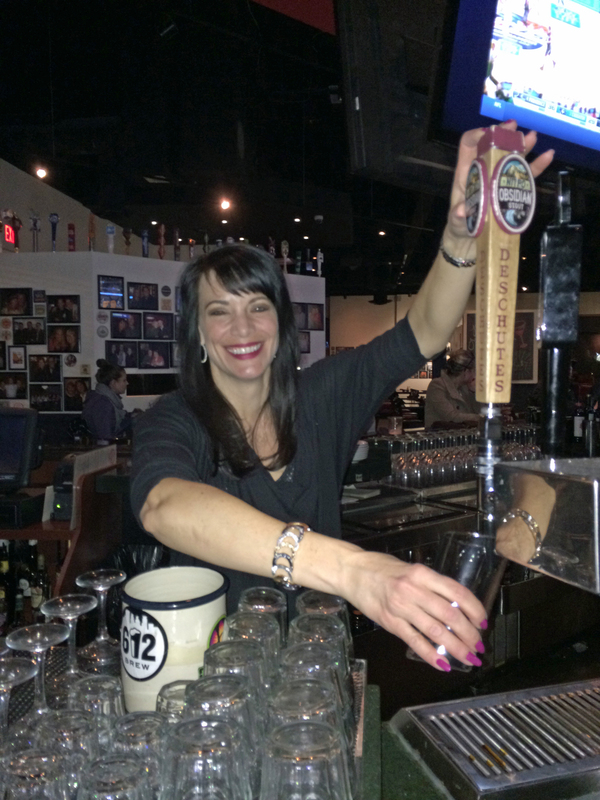 Her skills and moves as a “celebrity bartender” were very impressive! In March 2014 PBYR responded to a Veteran in need of employment and Home Depot was able to review with him several opportunities that could be a match for his skills and experience. The Veteran was very appreciative of the assistance and consideration from the PBYR network and Home Depot. 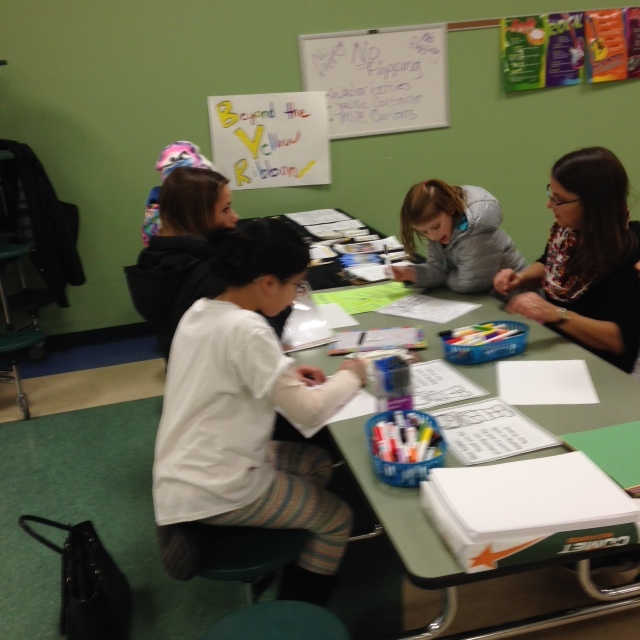 In February 2014 PBYR sent 2 representatives to the BYR Joining Forces Program at Normandale Community College. This yearly program was again helpful and positive. It offered an opportunity to meet others involved in BYR and exchange ideas. As a result of this program additional information which will likely be helpful to service members and their families will be placed on the website (http://PBYR.org). Also, several ideas noted from other BYR Cities will be explored by the PBYR Board of Directors for possible fundraising considerations. 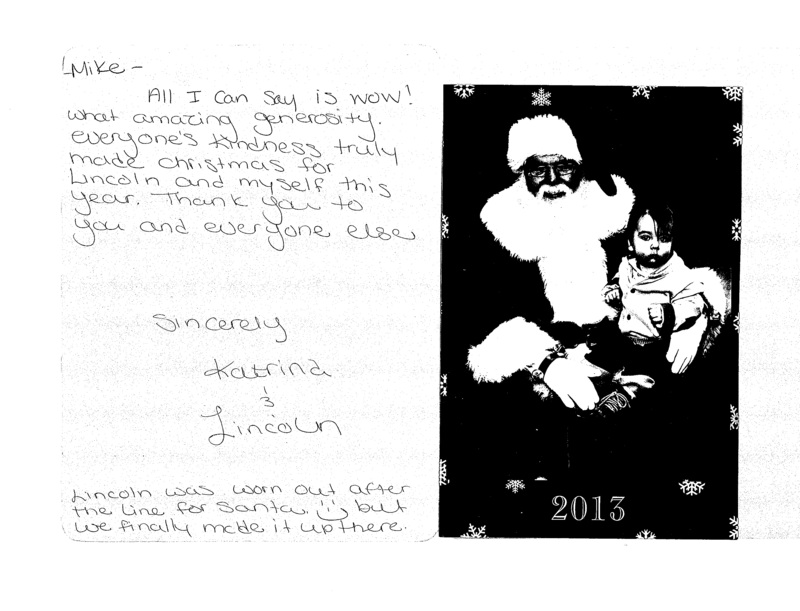 In December 2013 PBYR provided gift certificates to 2 mothers and their children. They had been referred to the City of Plymouth by the Family Assistance Center. The City of Plymouth Administrative Services Department provided coordination and assistance. In November 2013 PBYR gave a short presentation to a Hamel 4H youth group & their parents about the Plymouth Beyond the Yellow Ribbon Network. 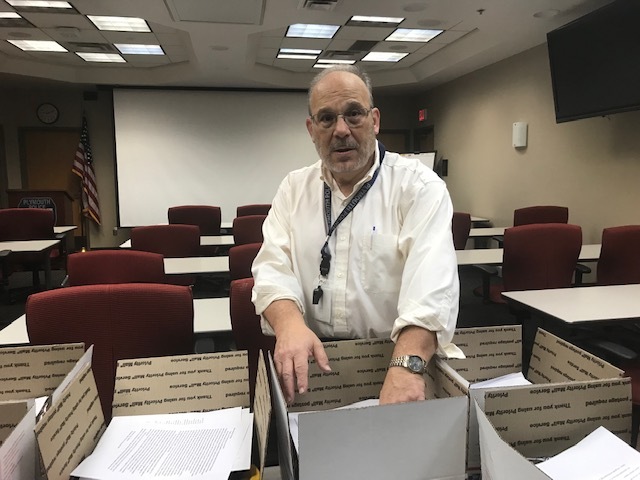 As a result, their leader is in contact with Jay Whitcomb, PBYR Director & Red Cross Representative for information how to assist service members and their families with holiday cards and gifts. In November 2013 Jeremy Wolfsteller, Service Officer, The American Legion gave an excellent presentation to PBYR at Plymouth City Hall. He described his recovery from very severe injuries received in combat in IRAQ and how he currently assists service members to obtain needed benefits and services. Jeremy has received awards for his service and was visited by President Bush while in the hospital. The story of Jeremy’s transition of healing to thriving was inspirational. Hopefully, he will present to PBYR again the future!! In November 2013 the PBYR network was alert in outreach and expedited information to a service member (Marines) on how to apply for a service dog to assist with his PTSD. In October 2013 Plymouth Beyond the Yellow Ribbon (PBYR) purchased advertising in the Plymouth Guide highlighting the Plymouth Beyond the Yellow Ribbon poster with contact options for service members, vets and their families. 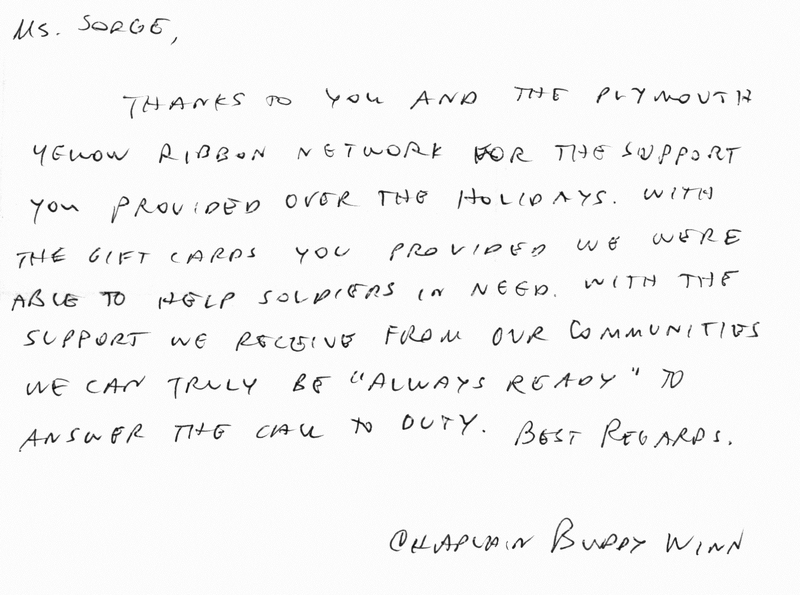 In October 2013 PBYR responded to the military’s request for gift cards for a military chaplain to hand out to 15 wounded soldiers in transition units. Service member received emergency grant money from PBYR and with help from Doug Johnson the Heinzen Ditter VFW also sent a check. Service member was referred to FAC and filled out an application for a grant. PBYR did a good job!! Appreciation & Thanks has been offered by the service member. 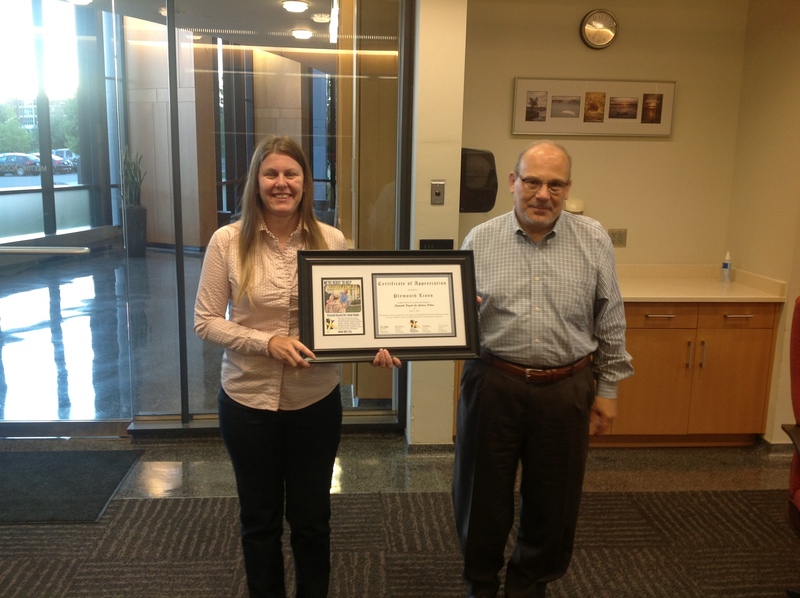 On September 12, 2013 Katie Fruth and Gary Goldetsky proudly display the PBYR Certificate of Appreciation given to the Plymouth Lions for their generosity and support over the past 2 years . Katie and her family have a long and distinguished service history to the City of Plymouth and the Plymouth Lions. Plymouth Beyond the Yellow Ribbon is very appreciative of their efforts, outreach and willingness to partner. 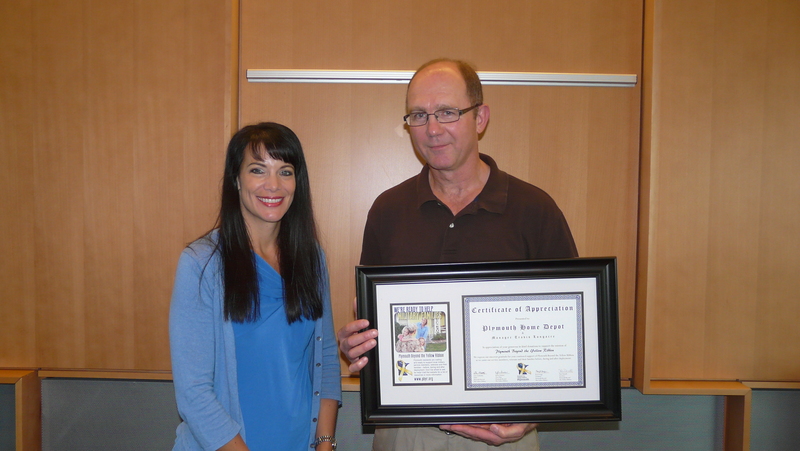 On August 8, 2013 Plymouth Beyond the Yellow Ribbon (PBYR) provided a Certificate of Appreciation to Prudential & Home Depot in our monthly meeting at Plymouth City Hall. 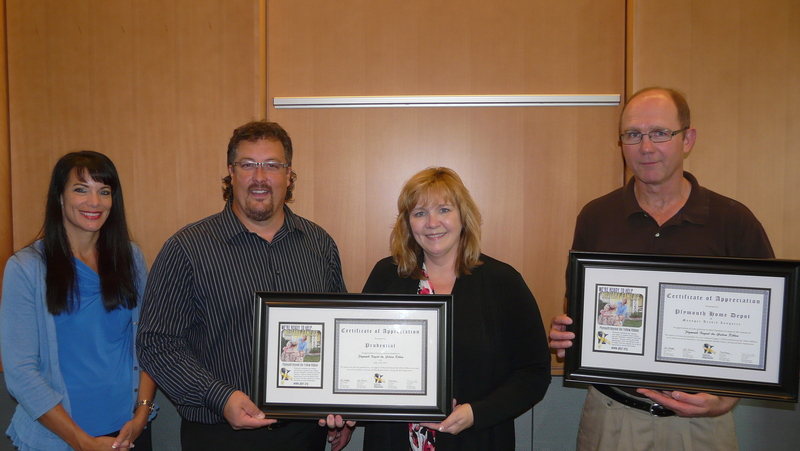 Mayor Slavik can be seen with representatives from Prudential (Sara Enright & Brad Seppala) and Home Depot (Wayne Backes) as they accept the certificates in the following photos. PBYR is looking forward to partner with both Prudential & Home Depot due to their history of exemplary corporate citizenship and involvement in the Beyond the Yellow Ribbon Network. Plymouth Beyond the Yellow Ribbon welcomes Prudential Insurance Company , a Plymouth corporate neighbor as the first financial services firm to become a BYR Proclaimed Company and our newest partner. Congrats to Prudential’s steering committee, executives and employees for all the hard work and commitment to work through the proclamation process. Mayor Kelli Slavik, Deputy Chief Dan Plekkenpol, Jay Whitcomb and I participated in their proclamation ceremony yesterday. We enjoyed the presentations from Raymond Weeks, Vice President, Prudential Veterans Initiatives , General Nash and Annette Kuyper, Director of Military Outreach. We greatly appreciated the warm reception from Prudential’s employees, executives and steering committee!! At the ceremony, PBYR received a $1,000 donation from their steering committee and we welcome the opportunity to work and partner with Prudential. The pictures from the event were placed on our website http://www.PBYR.org (soon) and we will use the donation wisely to promote a shared mission to provide “local” help to military families and veterans and educate the community regarding their GIFT of service and some of their special needs as a result of their service. Sun Sailor news article: Building a strong support network for military service members. 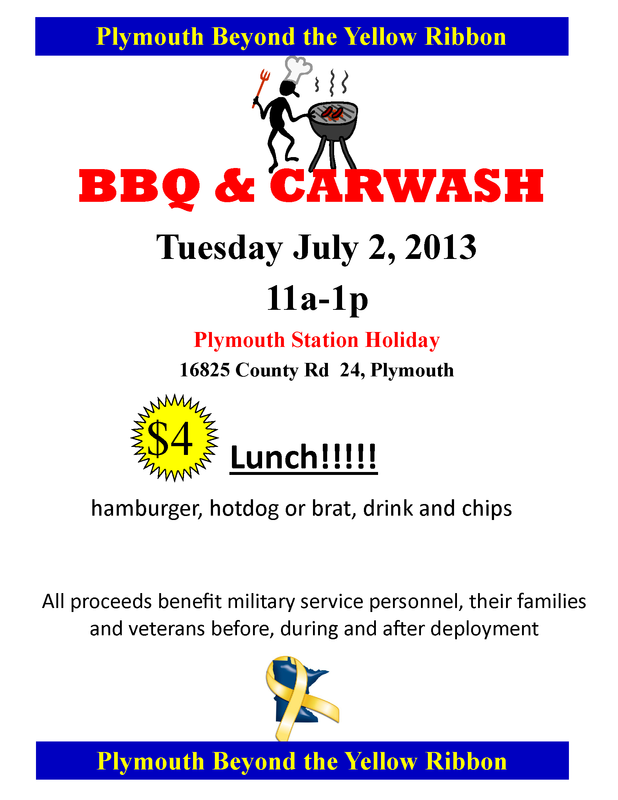 On July 2, 2013 from 10:30 AM to 1:15 PM Plymouth Beyond the Yellow Ribbon will participate in our FIRST fundraising event at the: Plymouth Holiday Station located at 16825 County Road 24, Plymouth, MN 55447. We greatly appreciated Holiday’s support & hope you will come and enjoy lunch, a car wash and help Plymouth Beyond the Yellow Ribbon meet our mission to serve as a resource to service members, veterans and their families. 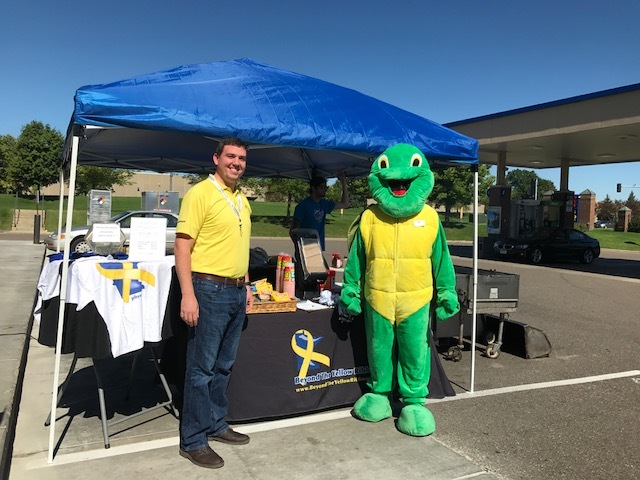 In May 2013 PBYR had volunteers at a booth at Zachary Lane Elementary School during an environmental awareness program to engage and educate parents and educators about the Beyond the Yellow Ribbon Program. 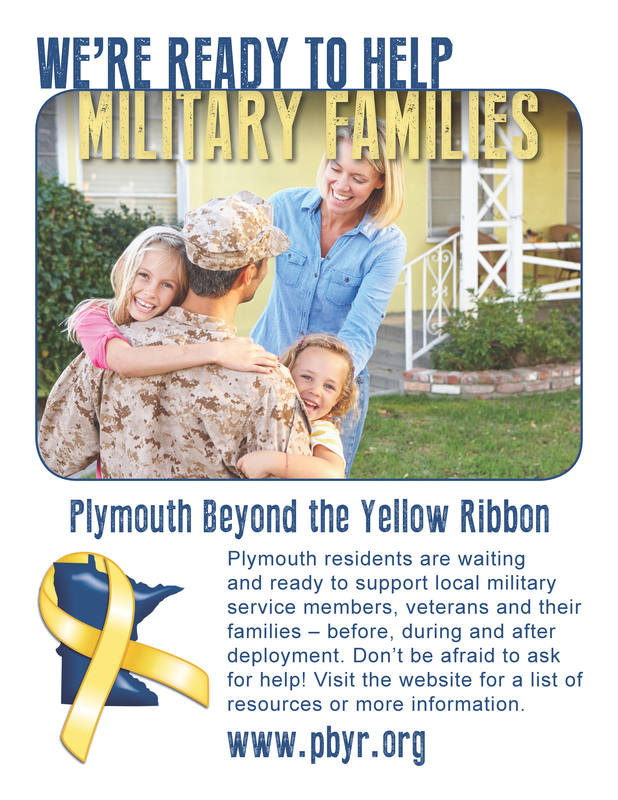 In May 2013 The Plymouth Beyond the Yellow Ribbon Board of Directors voted to utilize the following poster to be placed in Plymouth commercial locations to help educate the community about resources and Plymouth Beyond the Yellow Ribbon. In April 2013 Jonell Wilson from the Brooklyn Center Family Assistance Center presented information on the many ways that Family Assistance Centers can assist service members and their families with grants and related assistance. Also, she discussed the advantages for Plymouth Beyond the Yellow Ribbon to maintain dialogue and partner whenever possible to ensure good outcomes with requests for assistance. 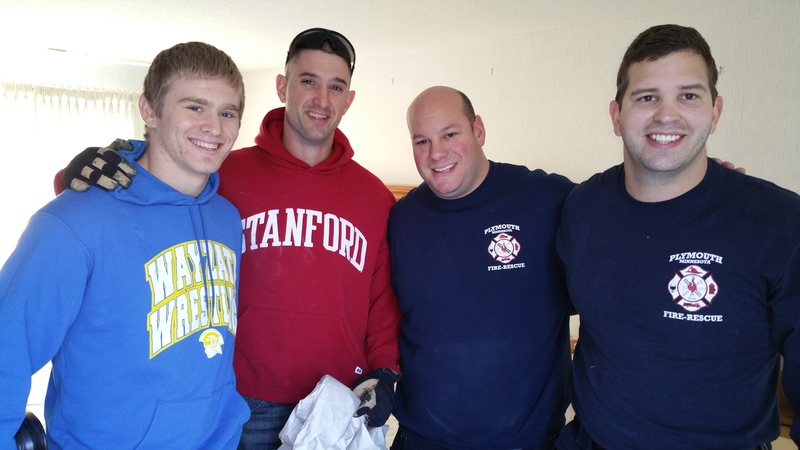 In March 2013 Travis Longacre and Home Depot again demonstrated their strong commitment and support to the Beyond the Yellow Ribbon Program by assisting a deployed service member’s mother with home repairs. Plymouth Beyond the Yellow Ribbon highly values their participation as a community leader and partner!! Plymouth Beyond the Yellow Ribbon attended a BYR Summit Program in Bloomington on February 23, 2013 with the purpose to meet with other BYR cities and receive an update from Ms. Annette Kuyper, Director of Military Outreach, regarding her recent visit with First Lady Michelle Obama and Dr. Jill Biden. Ms Kuyper reported that BYR is highly respected in Washington and is becoming a national model for supporting service members and their families. Plymouth Beyond the Yellow Ribbon received a Certificate of Appreciation which is displayed by Dr. Gary Goldetsky, PBYR Board Chair and Chief Goldstein, PBYR Board Member. On February 14, 2013 PBYR sponsored a meeting and presentation about the Minnesota Workforce Center and strategies to assist veterans to return to their employers after they come home from deployment. 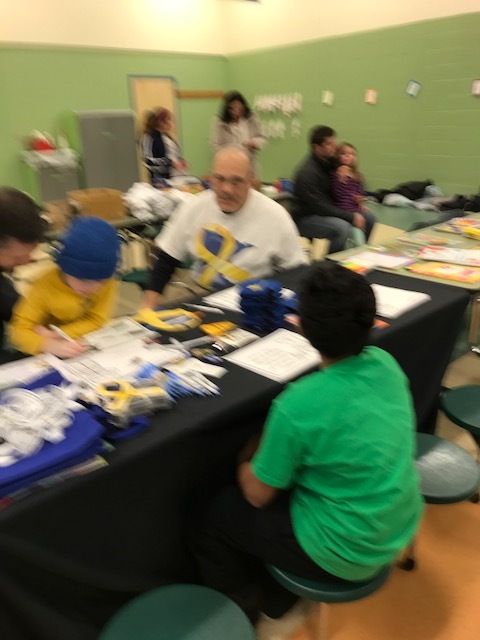 PBYR volunteers had a booth at the Wayzata Market Place Program at Wayzata Middle School on February 2, 2013 to educate the public and parents about Plymouth Beyond the Yellow Ribbon. PBYR and Home Depot, a community partner responded to a service member’s need for assistance with snow removal after the big storm in December, 2012. This Maple Grove family sent a beautiful thank you note to both PBYR & Home Depot regarding their heartfelt thanks and appreciation for the assistance. Beautiful gift bags were supplied by Plymouth Beyond the Yellow Ribbon and several other cities in the BYR network (Chanhassen, Minnetonka and Hastings) to mothers and children in the Army Survivor Outreach Services Program in November, 2012. 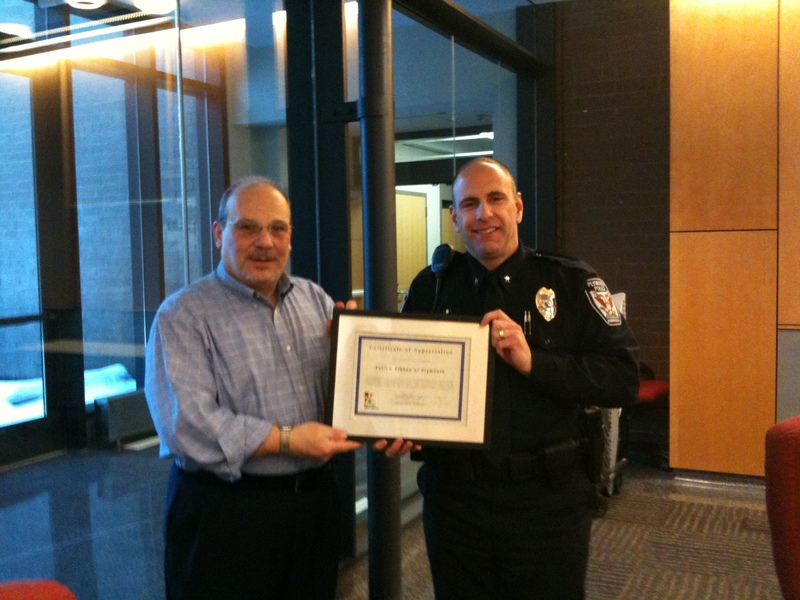 On November 14, 2012 Chief Goldstein & Krismar Waage gave a presentation on Plymouth Beyond The Yellow Ribbon to the Wayzata Communities in Collaboration Council. Representatives from Plymouth Beyond the Yellow Ribbon attended the Plymouth Lions Club Waffle Breakfast Fundraiser on November 11, 2012 At the Plymouth Creek Center. Good Waffles! In October, 2012 Plymouth Beyond the Yellow Ribbon received a generous $1,000 donation from the Plymouth Lions Club. In August, 2012 Becker Furniture World, (http://www.beckerfurnitureworld.com/ ), a Plymouth Beyond the Yellow Ribbon community partner assisted a service member and his family with bedroom furniture. 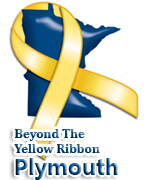 Plymouth is one of over 200 cities that have earned Beyond the Yellow Ribbon designation. 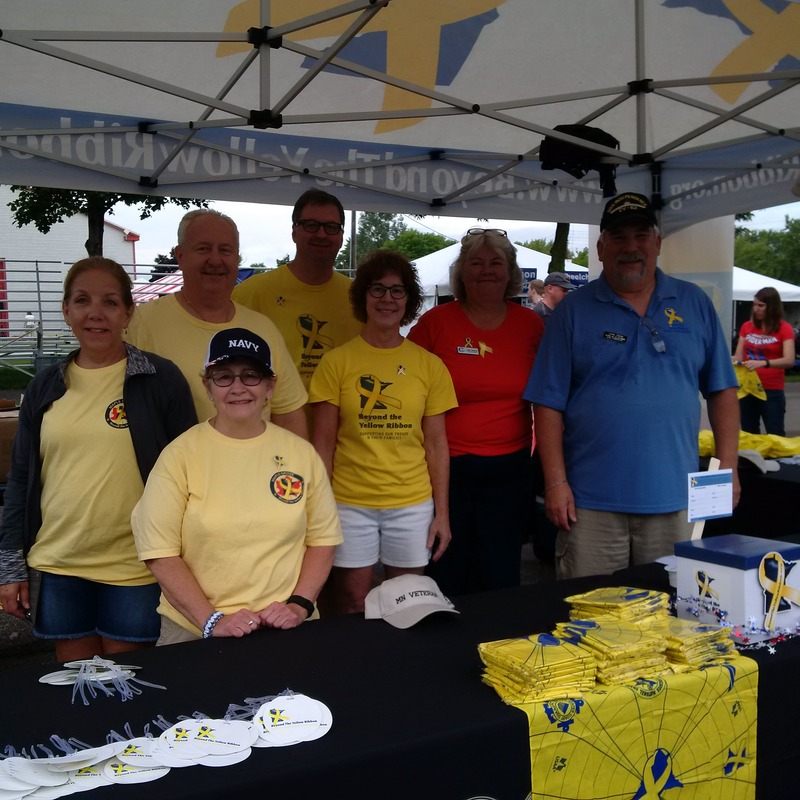 The Plymouth Beyond the Yellow Ribbon provides volunteers to help out service families with anything from fixing a broken pipe, planning a budget, helping with home organization or taking kids to ball games. While the program is community-based, it benefits from the support of the City of Plymouth and members of the Police Department. Plymouth Police Officer Randall Richardson, who served in the Marine Corps, spearheaded the Beyond the Yellow Ribbon effort in Plymouth. He worked with a group of community members for more than a year to meet the rigorous criteria for the BYR designation. Plymouth Beyond the Yellow Ribbon is pleased to participate in the following city events: Plymouth on Parade, Night to Unite, Plymouth Fire & Ice, Music in Plymouth, and City Sampler.